I've decided that I might as well set up a progress blog on the Rallye here on the site. I've been maintaining one since buying the car on my own website, so there's plenty already written about it. It'll take a while to build up the posts from the origins of the car to where it is now. This is a summary blog so it covers all the main things that have been done, but doesn't go into all the little details that are still covered in my personal blog. 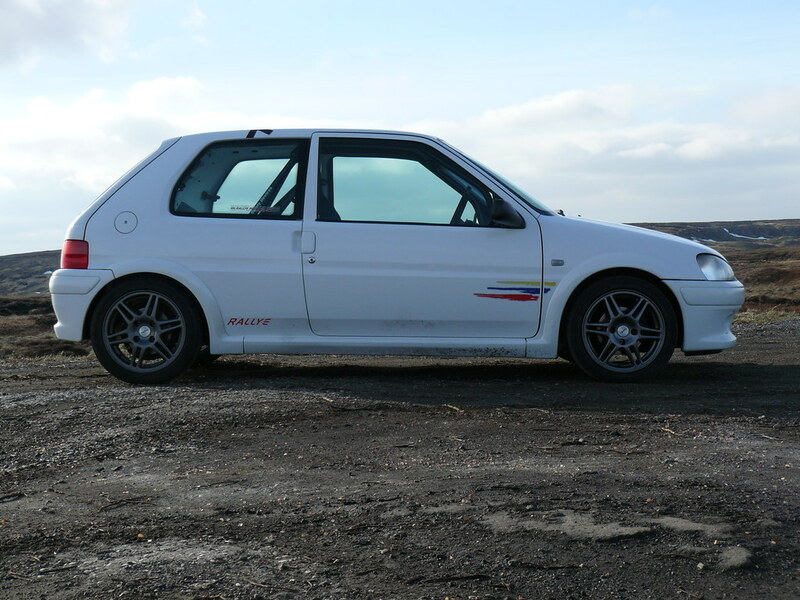 Having previously owned a white S1 Rallye, when I decided it was time to return to Rallye ownership, getting involved in the Rallye Register and using it to help find a new car seemed the logical place to start. After a bit of looking I found a great one in the ownership of Ian Hawxby from the North East members section. So made a viewing appointment and caught the train up to Durham. The Rallye wearing the H2XBY plates was in tidy condition having been recently machine polished and well looked after - see Ian's old blog for more details. Inspection revealed the usual stone chips from a 10 year old car and quite a bit of rust on the underside, including splits between the rear arches and boot. Some further TLC was going to be needed. A deal was done and I ended up driving home after a trip to Newcastle and some fish and chips on the banks of the Tyne. 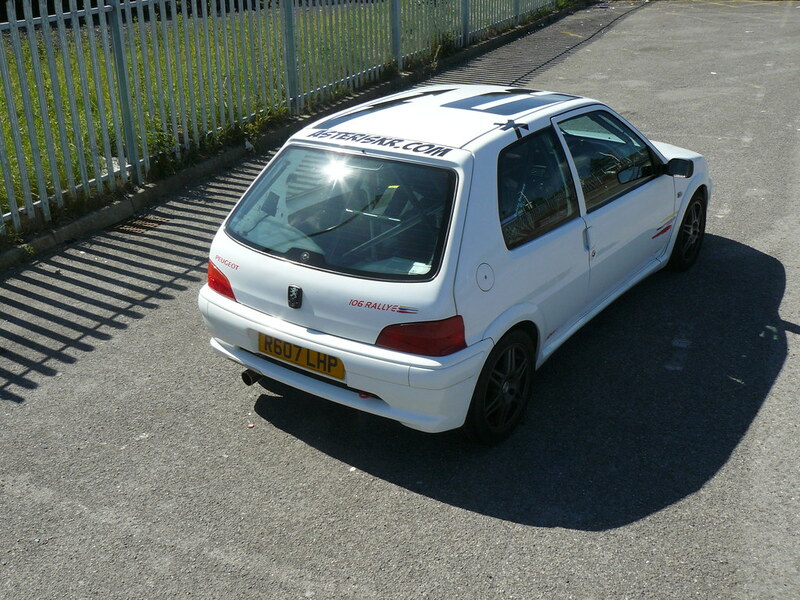 It was a particularly appealing Rallye to buy because Ian had already spent quite a lot of money on the car in terms of putting a 16v engine in. I'm still amazed at how much money you can save by buying car someone has already carefully uprated. Prior to fitting the engine a new clutch and cambelt went in and then new gear linkages were fitted. 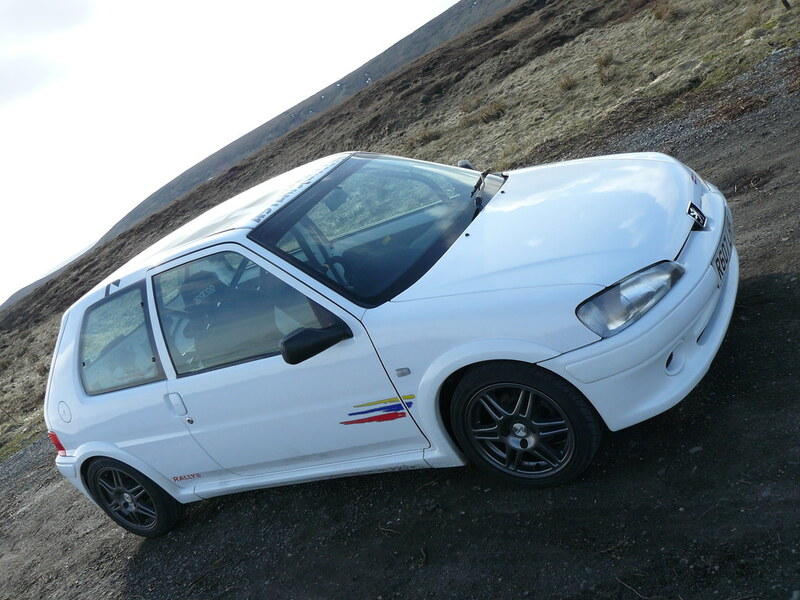 Series 2 106 Rallye, Bianca white with 119k on the car and 51k on the engine. 4 previous keepers. 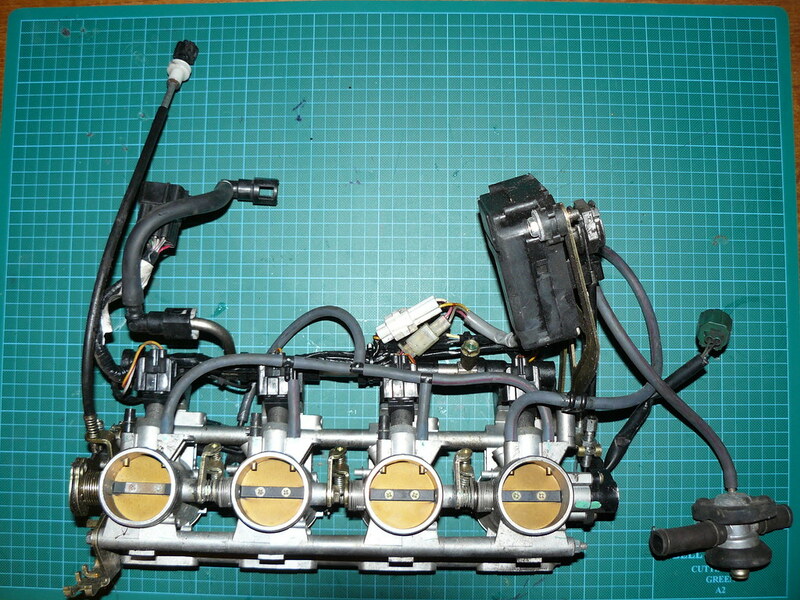 45k mile Citroen Saxo VTS Engine fitted at 113k with the following genuine Citroen parts during the transplant. Running on the stock Rallye gearbox, but with all three gear linkages being replaced along with the gearbox mount and a Powerflex lower mount. 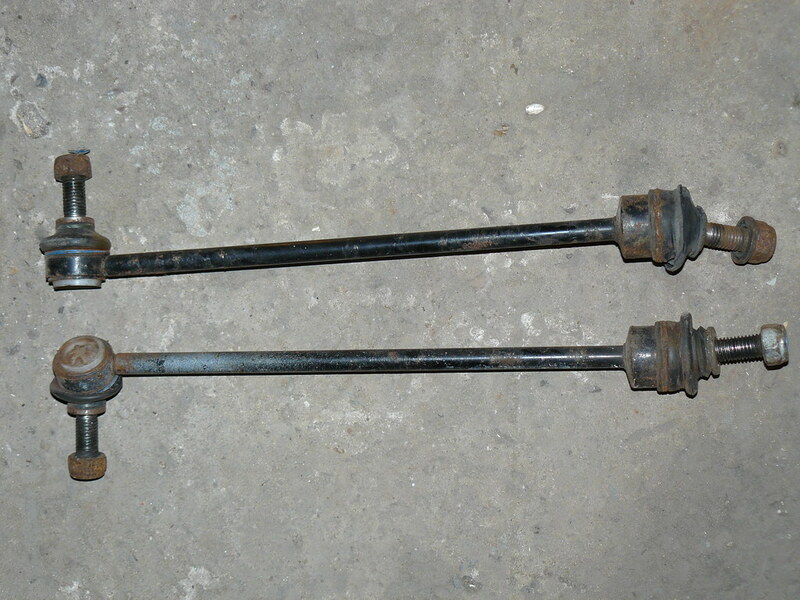 Both driveshafts replaced with new units in August 2008 along with drivers side wheel bearing. 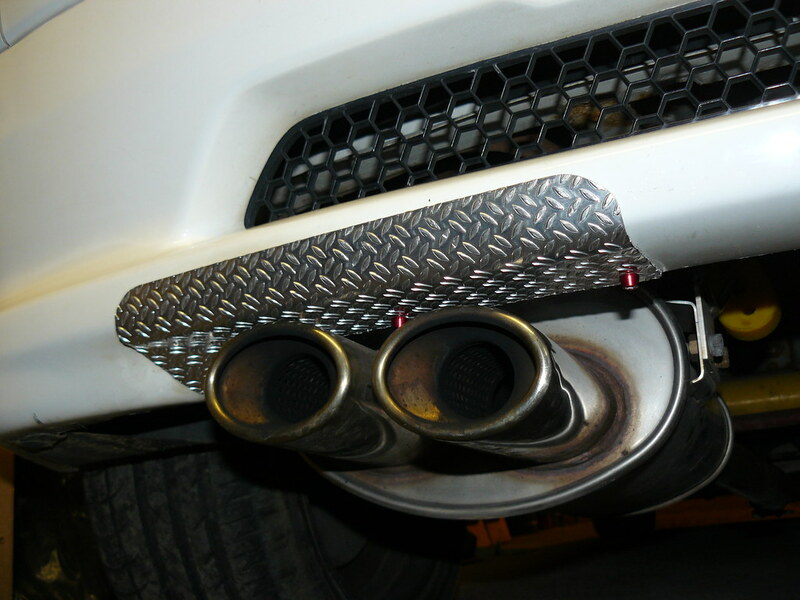 ...and a heatshield to stop the exhaust melting/discolouring the rear bumper. 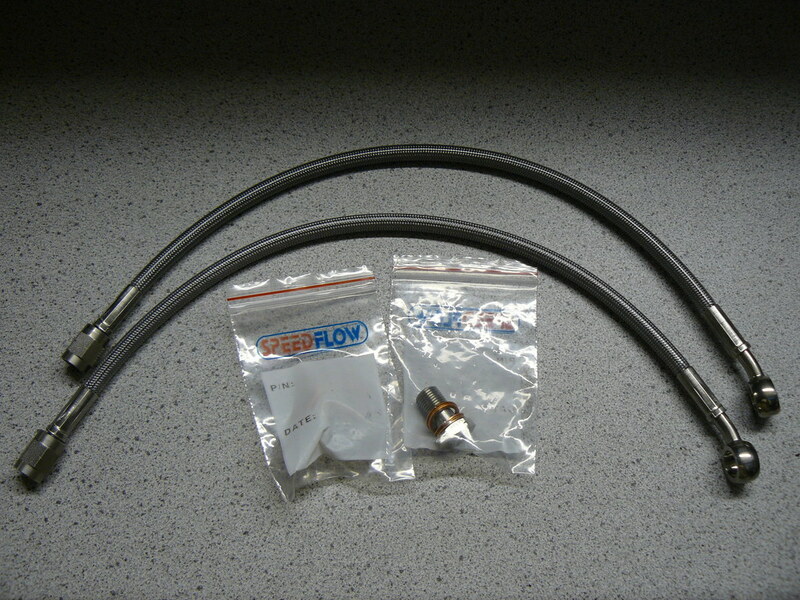 ...but ended up sending them coolant hoses back and getting these instead. Car went off and had the tracking sorted out and then ended up getting driven around quite a lot. 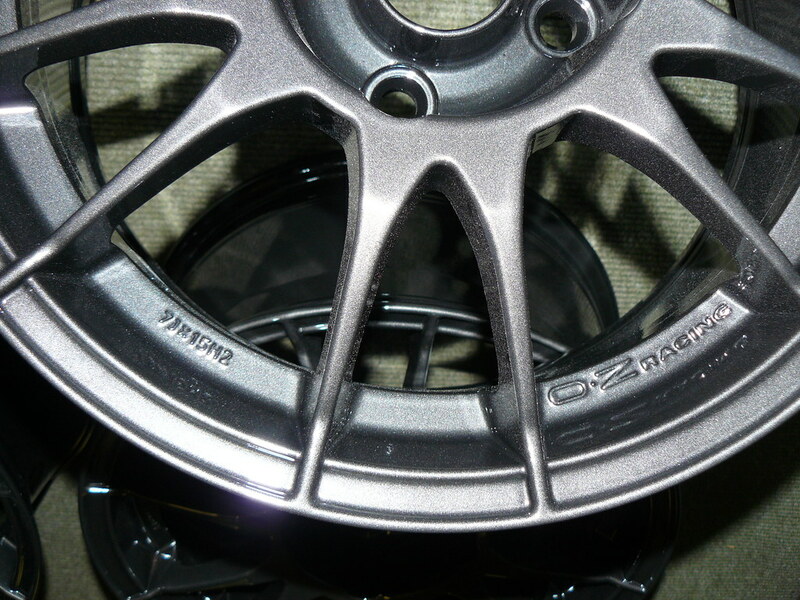 Went back up to the North East to pick up some OZ Superleggeras with brand new R888s. 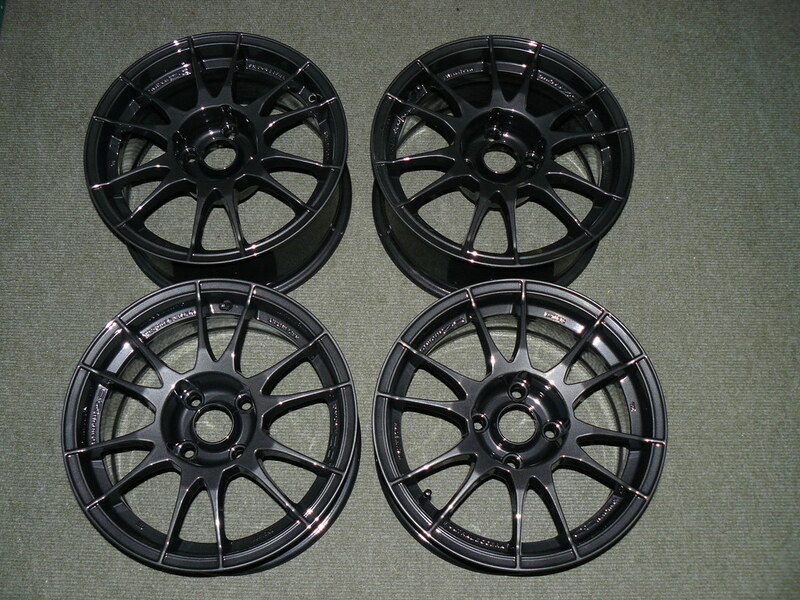 Bargain set of wheels for the track, but they'll going to get powdercoated before I use them. Last edited by Cris B; 10-06-2010 at 11:44 PM. 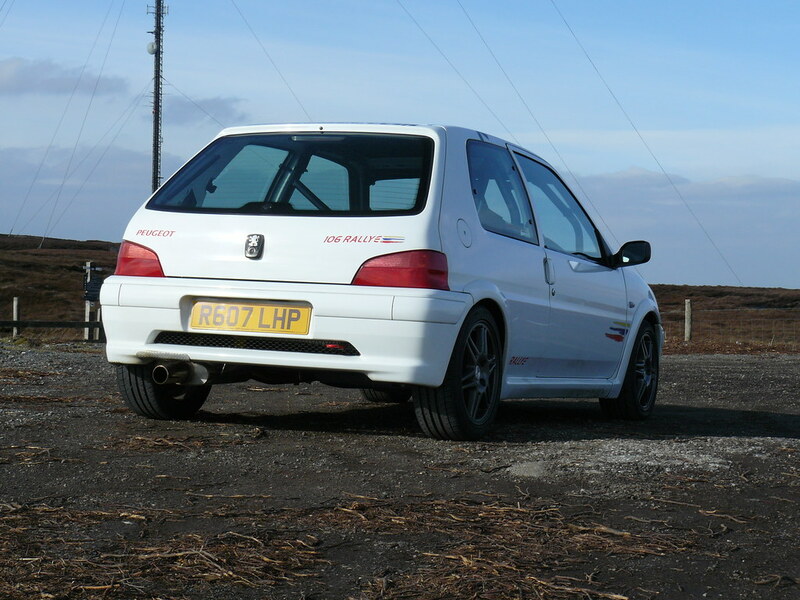 Then I went nuts and bought an 106 GTI that had been used as a stage recce car by Richard Clews. 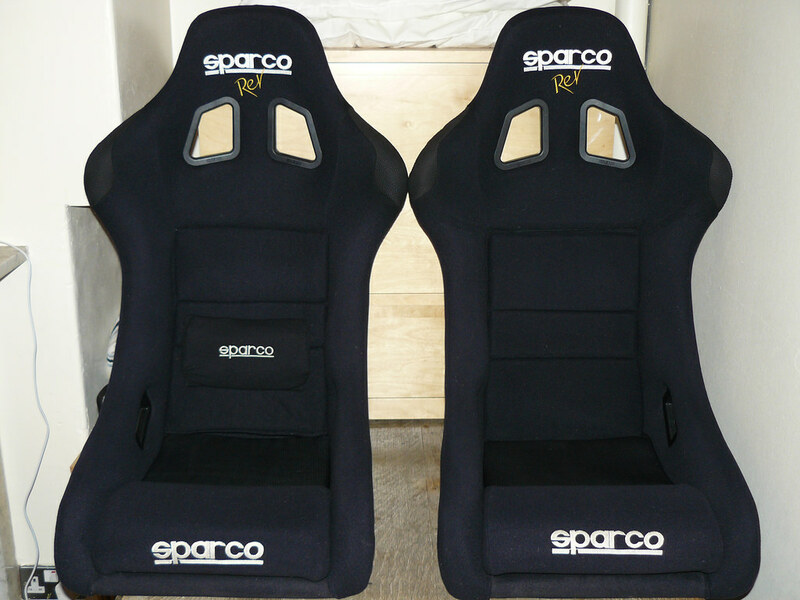 Out came the Sparco seats and Safety Devices cage and harnesses and in the end it was all tidied up and sold on. 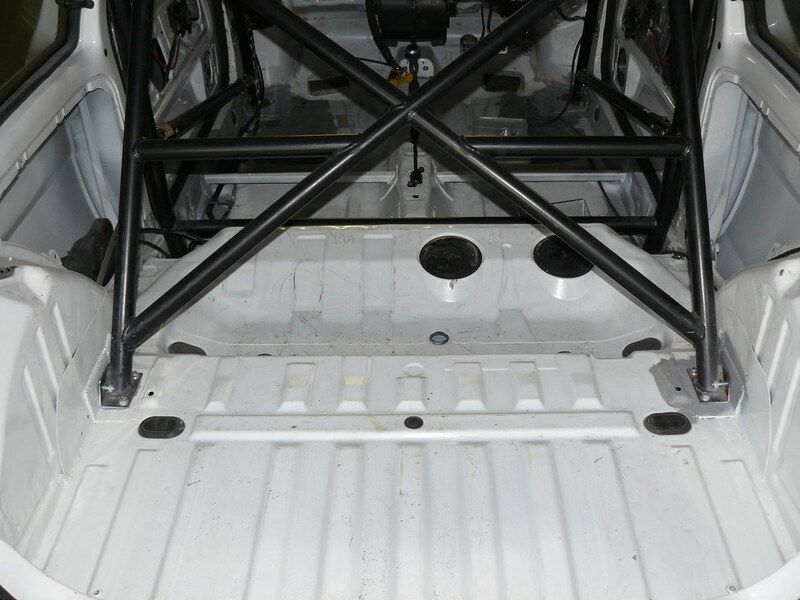 The car was then booked in to Paul Reaney at Ghost Developments for some body work repairs and to get the cage fitted, suspension strut top plates added and seat rails mounted. 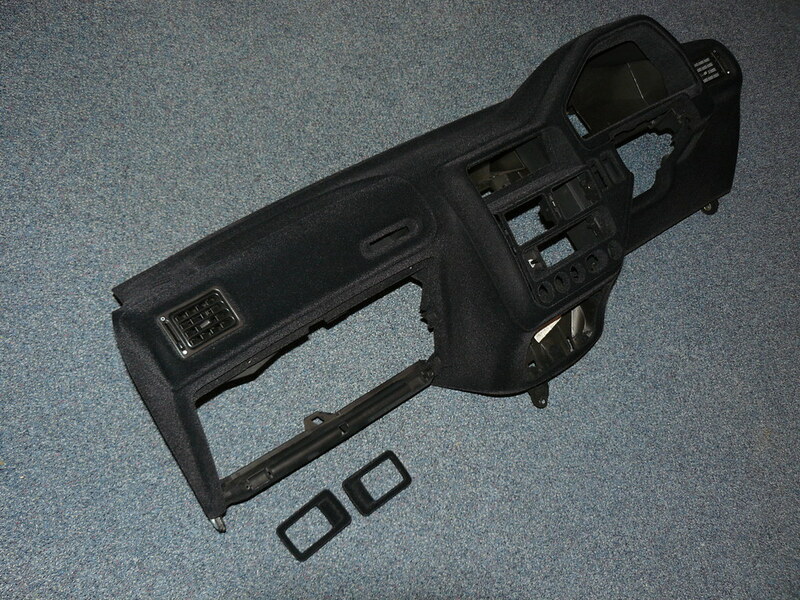 In the mean time I stripped out the interior including all the sound proofing materials. 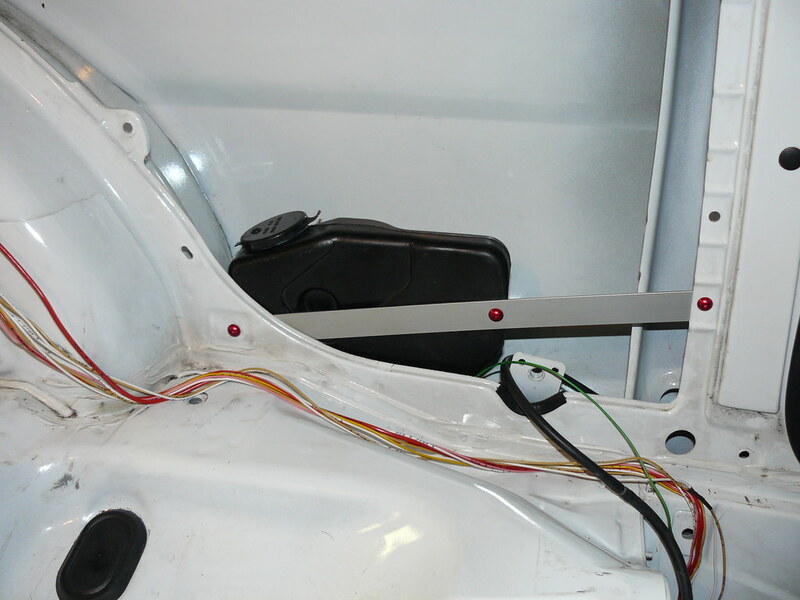 I also thinned out the interior loom of all the none essential wiring. Came back and had a full interior respray. After which I started putting it back together. 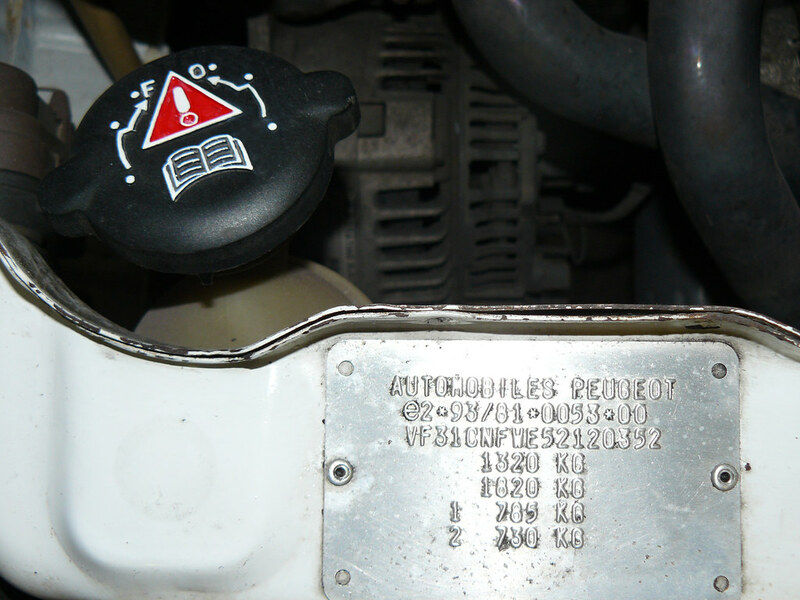 My intial relocation of the washer bottle didn't work out with the 205 rear washer bottle in the photo below, but it did second time around with a different bottle that didn't leak and a pump that works French cars are great. 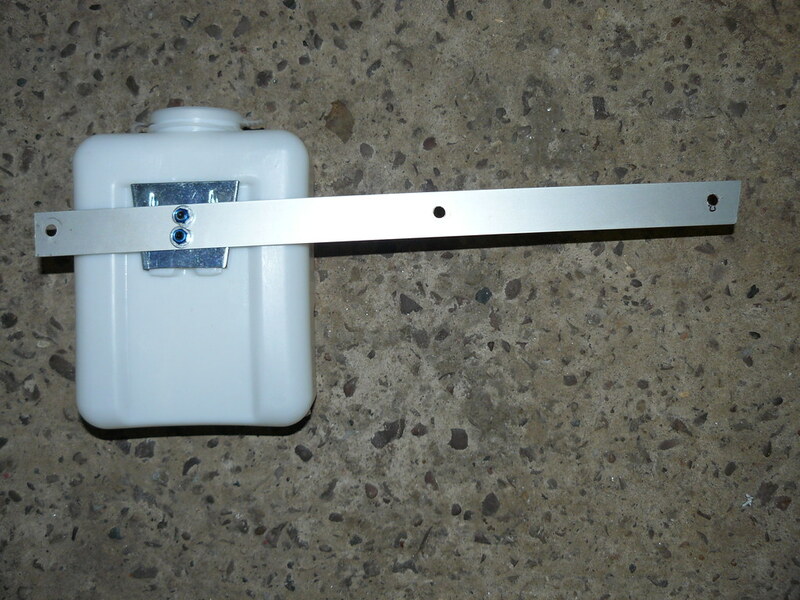 Prepped the scuttle for moving to an AX single wiper setup and then fitted that in. 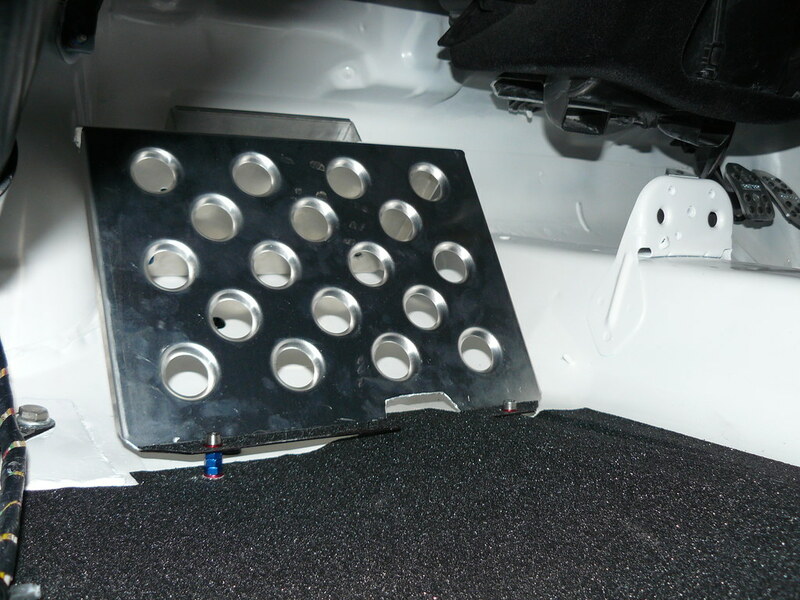 Sorted out a co-drivers footrest, cage for a lightweight race battery and grip taped the footwells. 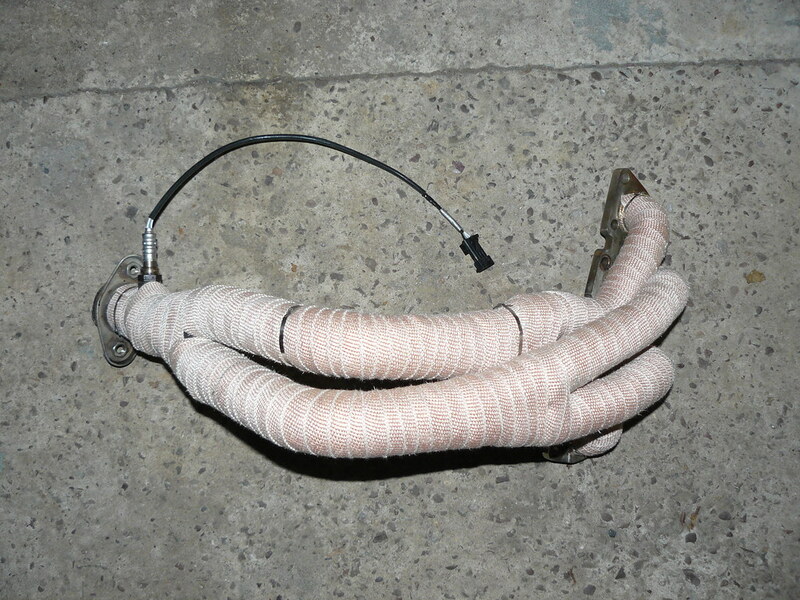 ...and heat wrapped the manifold. 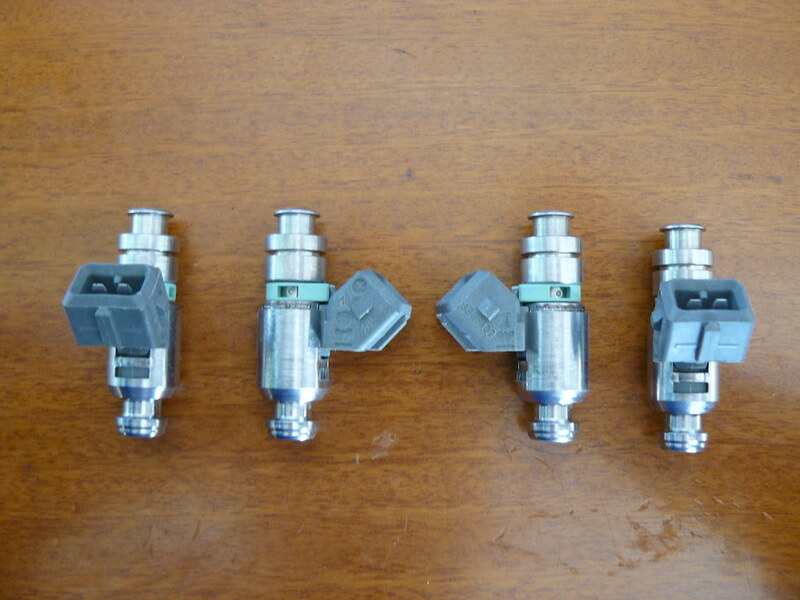 Then had the injectors refurbed as part of trouble shooting an engine problem. Last edited by Cris B; 11-06-2010 at 12:14 AM. Next thing was to replace the alternator. 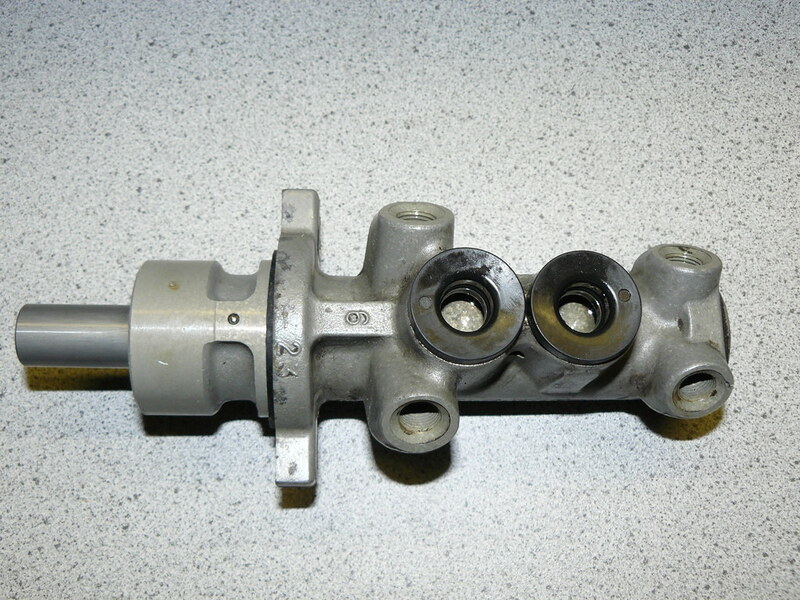 This was identified as the cause of the engine problems. 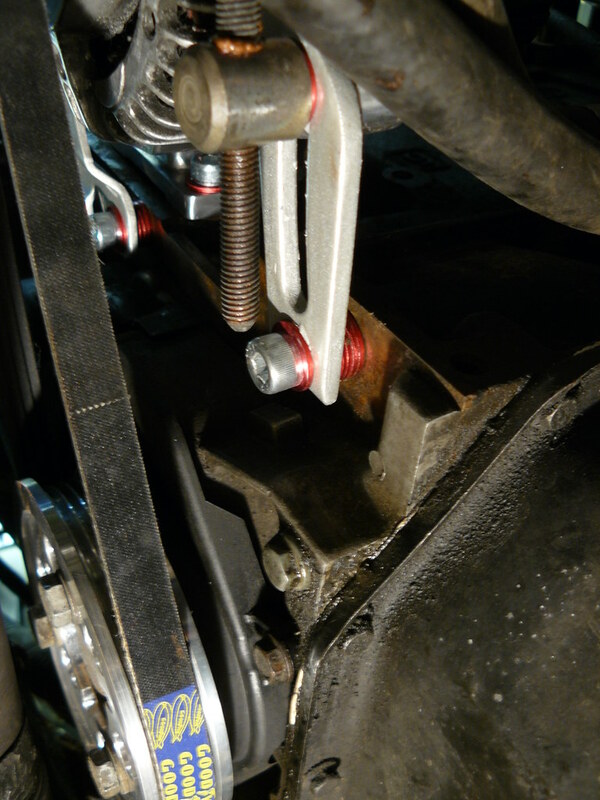 I went for an 8v unit and used poverty spec mountings, with the tensioner modified to fit the block. 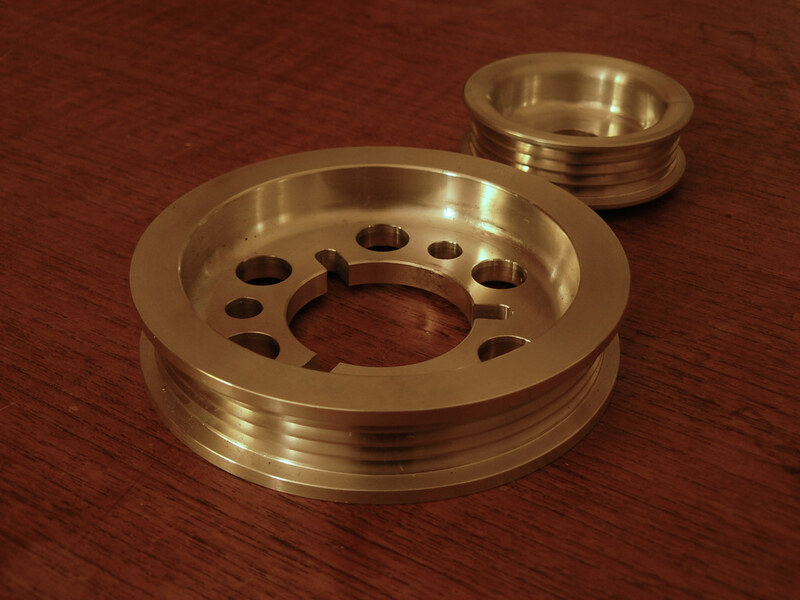 Coupled with some of Colin Satchell's alloy pulley wheels, this delivered a 5kg weight saving. Might have polished a few bits up whilst I was at it. 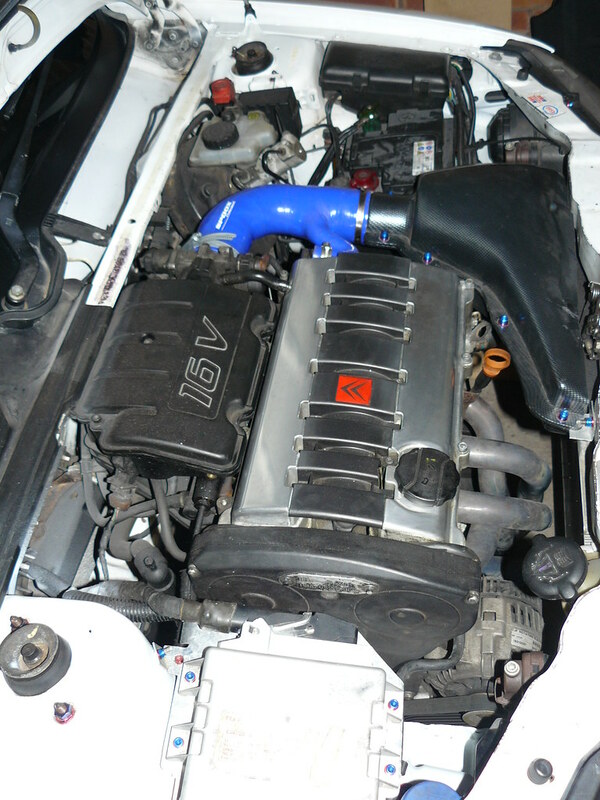 Whilst the car was off the road I fitted the silicon coolant hoses and a slimline fan as well as giving the slam panel a full respray. 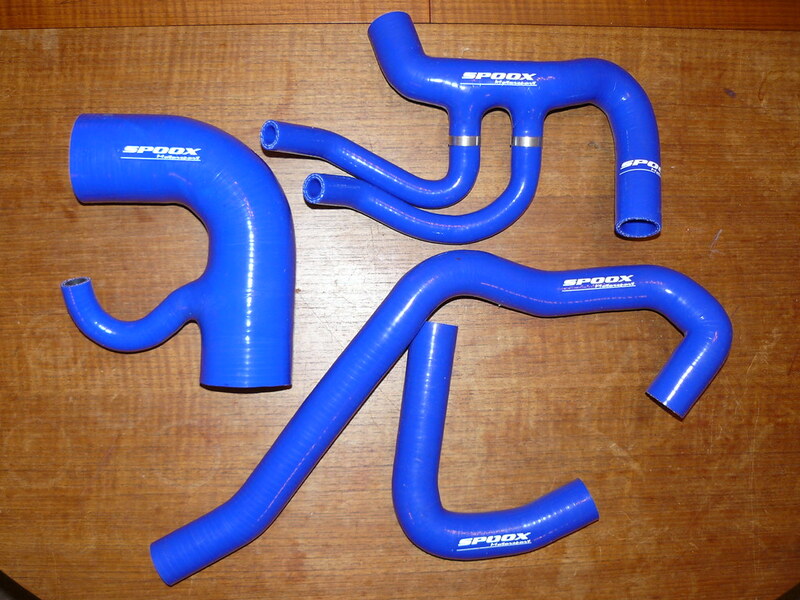 At some point when all this was going on Tommy Assen sold his Rallye, so I bought up all his braided fuel and brake lines. 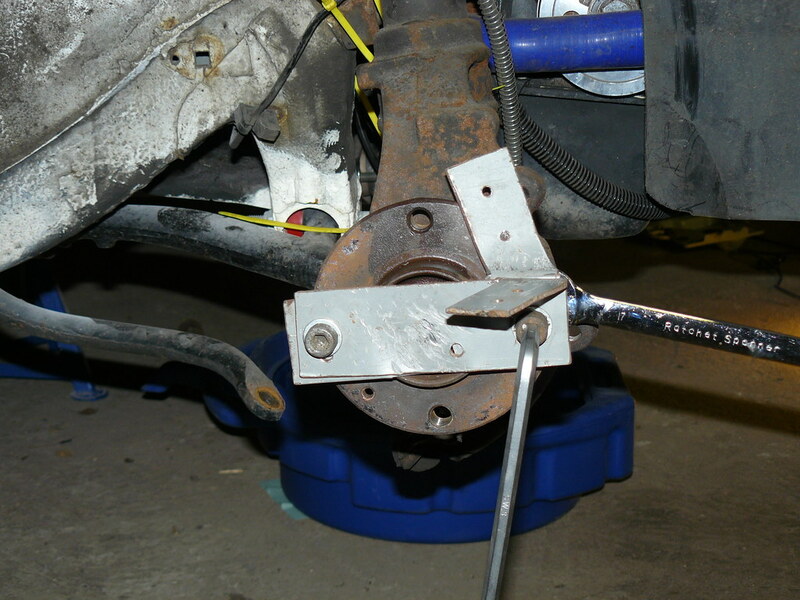 Then decided that I needed some decent brakes to connect them to. 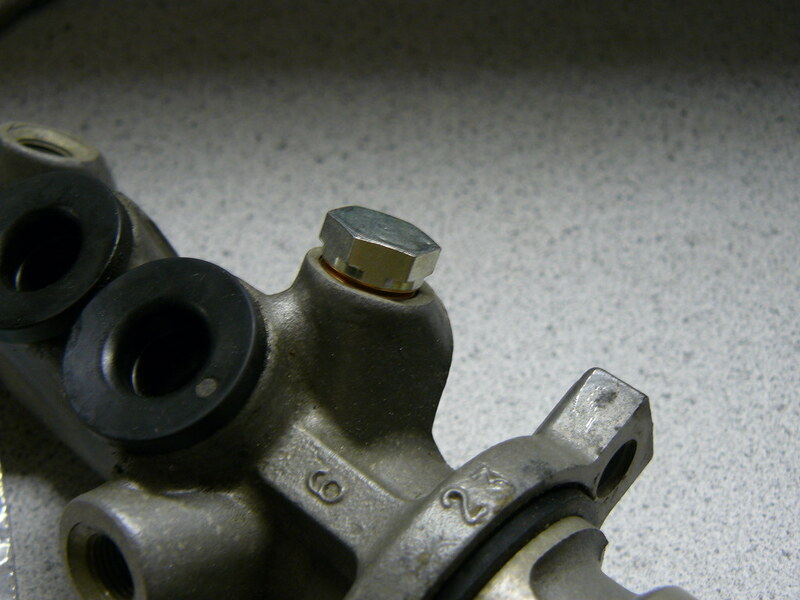 Marc Boni's group buy on his Hi Spec setup seemed to good to miss so I ordered a set and picked up a 23mm master cylinder off a Peugeot 406. Just need to get around to fitting this lot. With the car back on the road, took it out for a blast and took some photos in the Peak District. The track day was ace! Coming off the M1 on the way there the car started making strange car noises. These turned out to all be down to the alternator belt. By the time I made it home the whole tensioner assembly had fallen off, but at least (and somehow) the belt had stayed on the pulleys despite being immensely slack. 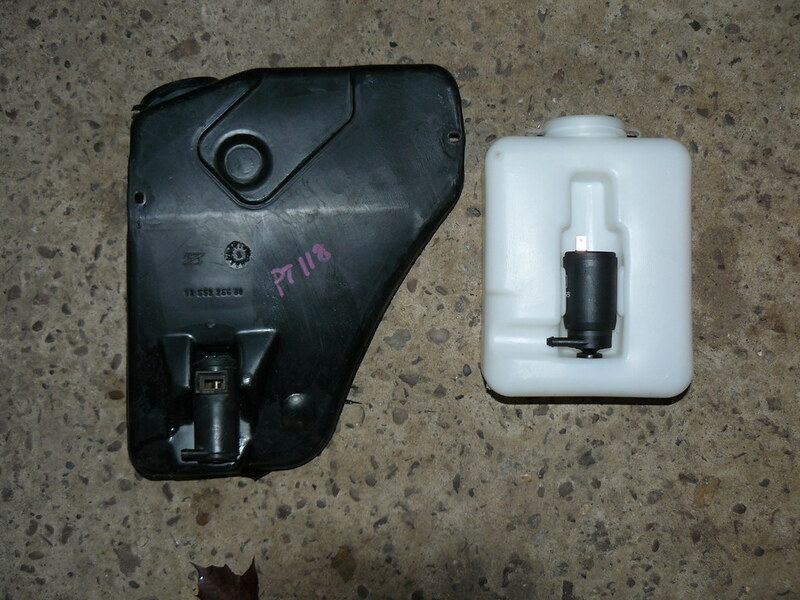 I’ve finally managed to source a replacement part and started to make up a new lower assembly again now. So that's the summary over! Last edited by Cris B; 11-06-2010 at 03:57 PM. Did a bit of fettling over the last week and finally have the car back on the road for the first time since PPC in the Park. 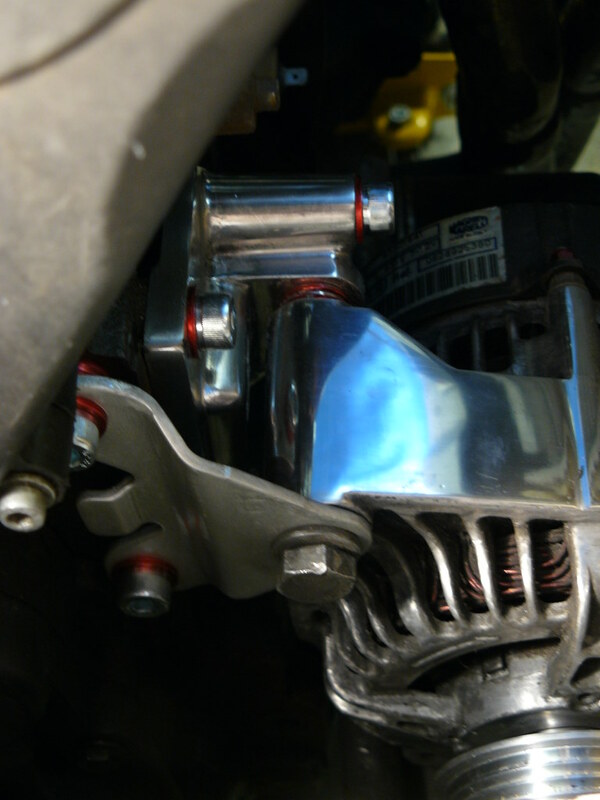 Chopped up a poverty spec lower alternator mounting to liberate the necessary section, then tidied it up, drilled the extra mounting hole and painted it up with POR15. Last edited by Cris B; 13-06-2010 at 08:22 PM. 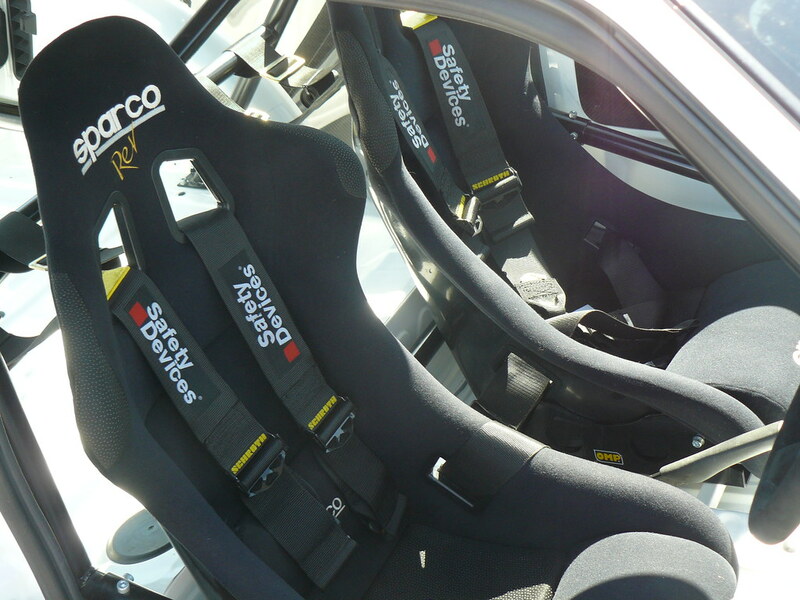 You got any more trackdays planned? Looks well mate, have you got the Hi specs on yet? I *think* I now have everything I need to do the install. 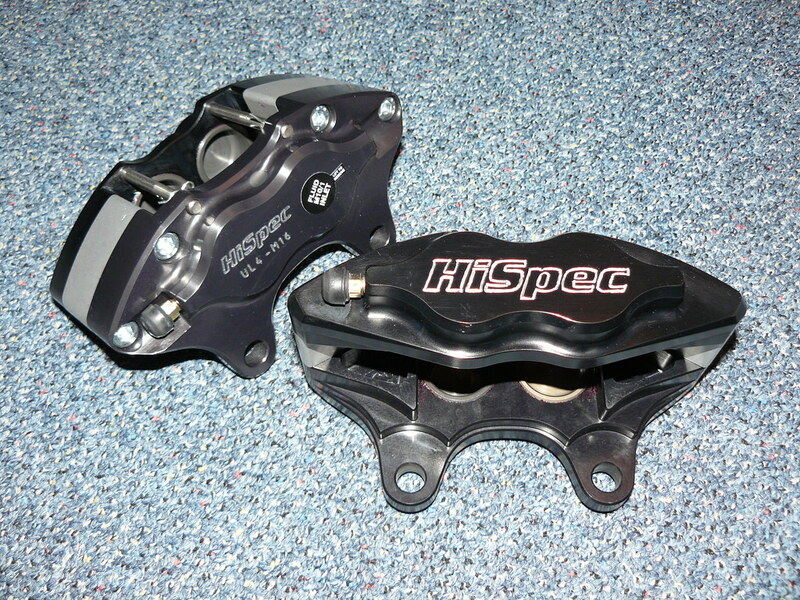 I will need to make a mounting bracket for my Wilwood bias valve and also to get some brake fluid. 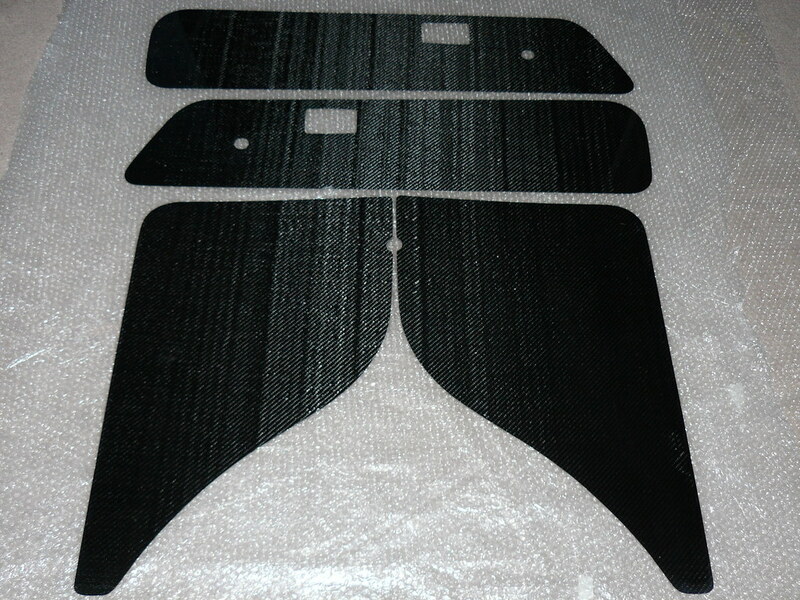 Strip interior and front half of cage. 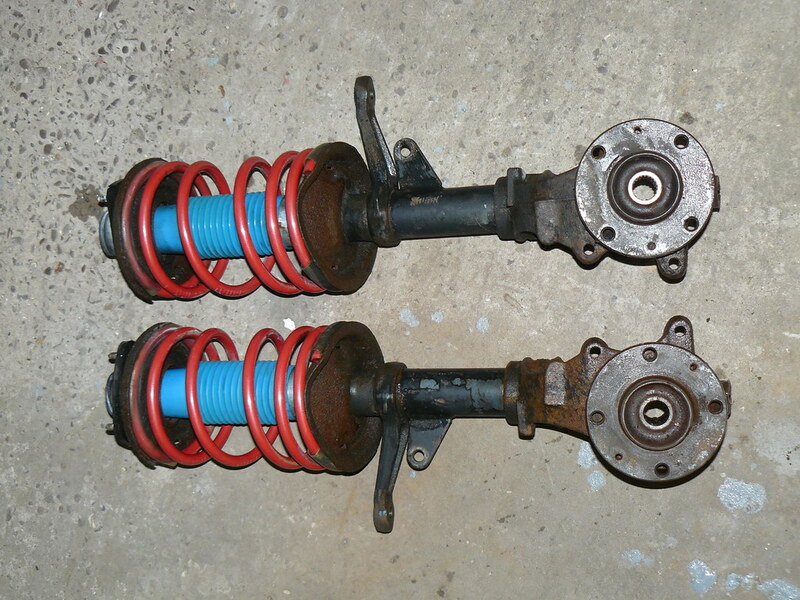 Remove struts and send off to Paul R for coilover conversion and refurb. Refit beam and front struts. Check release bearing on gearbox - makes a worn bearing type noise when the clutch is released so I'm hoping that it's this. A diff is on the menu, but I don't really want the box rebuilt until it's absolutely necessary. Iron out loom wiring interface - power supply and dash inputs. Put car back on the road. Not sure the order is exactly right but there's a fair bit to do! 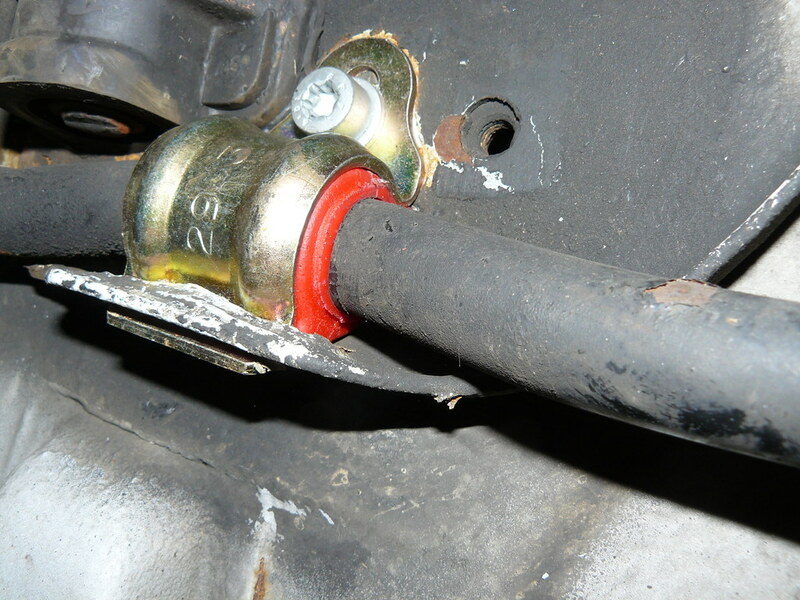 The idea is that by waiting until the engine is out I can get the runs for the brake lines right and fit them in securely. To be honest the whole thing might have to wait until August as I have a lot on until then. We'll see. In the mean time I'm still amassing parts. That's quite a list dude! 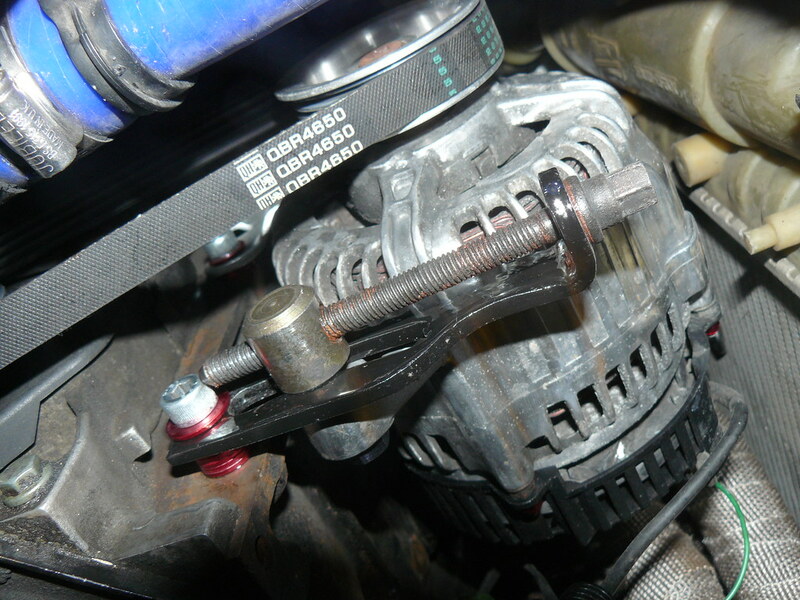 Just spotted the alternator bracket, that's a fantastic idea. 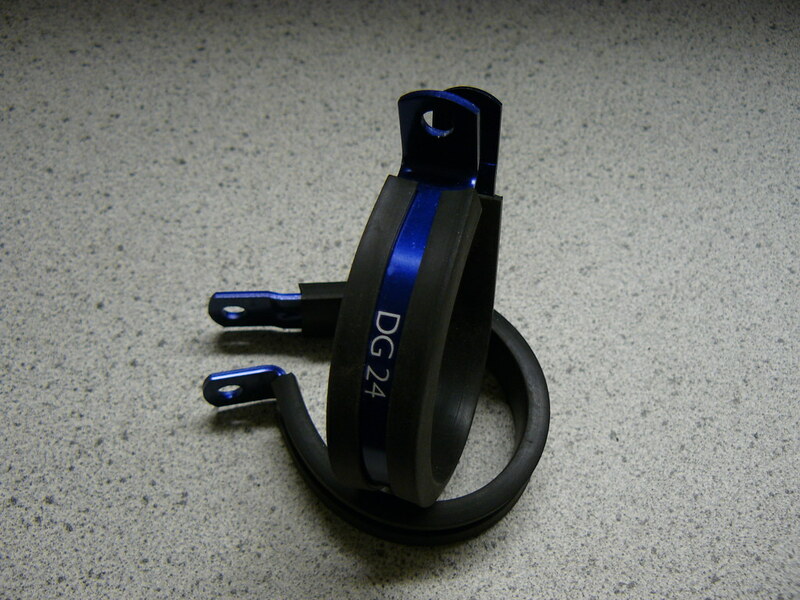 I think part of my power problems are due to the supercharger belt slipping, so that should help sort it. 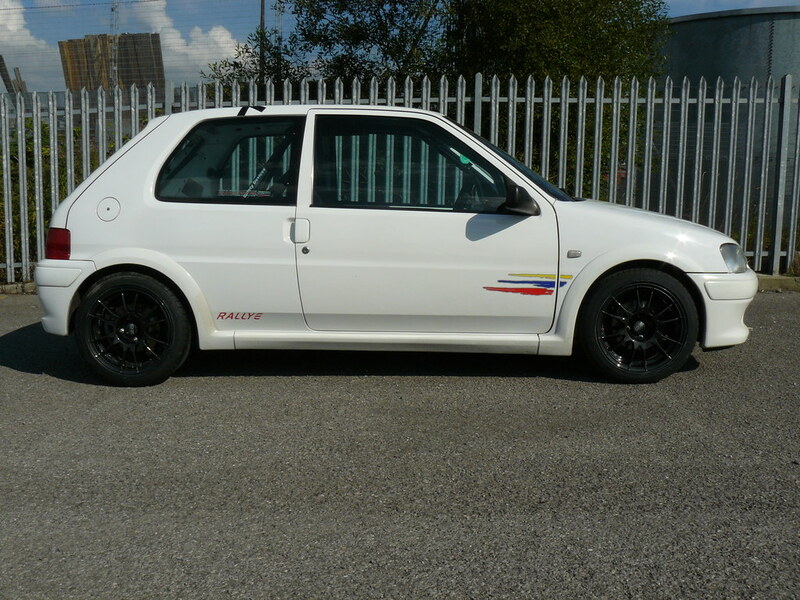 Rallye's looking spot on mate, dont suppose you'll be at pugfest with it will you? Few bits have turned up recently. 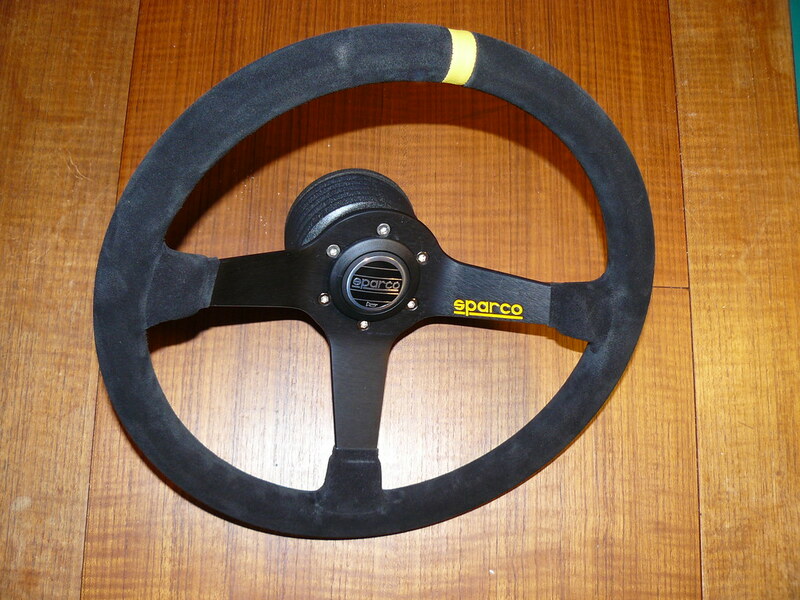 Also I sent my steering column surround back to Raj at Autoflock.co.uk who's done a top job of reflocking it. I wasn't happy with it first time around. I took the camera with me and had planned to take some photos, but to be honest I was enjoying the sound of the pugsport over 4k revs that I became too hooked on driving to stop and take any. A beautiful day in the mountains and empty roads (they are if you get up early enough to get out there and enjoy them) both made for a memorable drive. I still made it home nice and early, so took some pictures at the local Industrial Estate which is a spot I haven't tried before. Drive was great put just emphasised the need to get the suspension sorted, so that is now the number one priority going forwards. 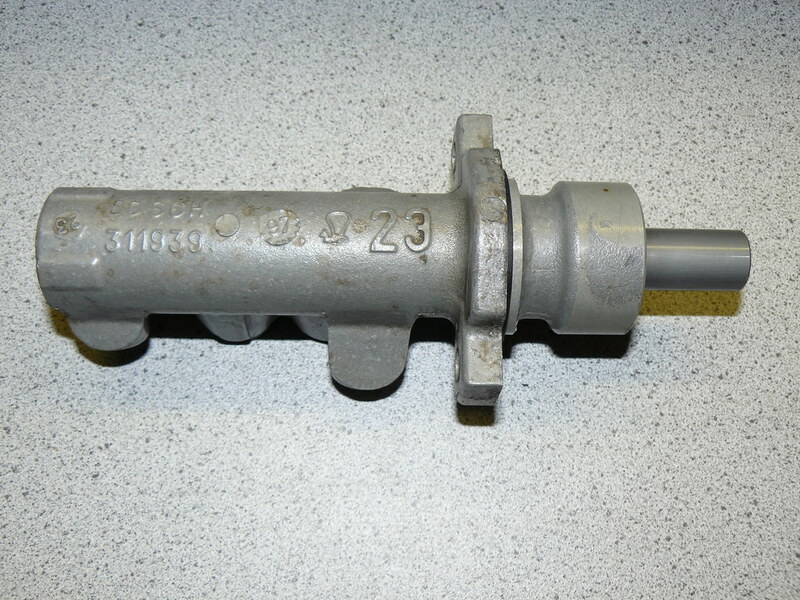 Months ago I bought a second hand 23mm Master Cylinder off a Peugeot 406. 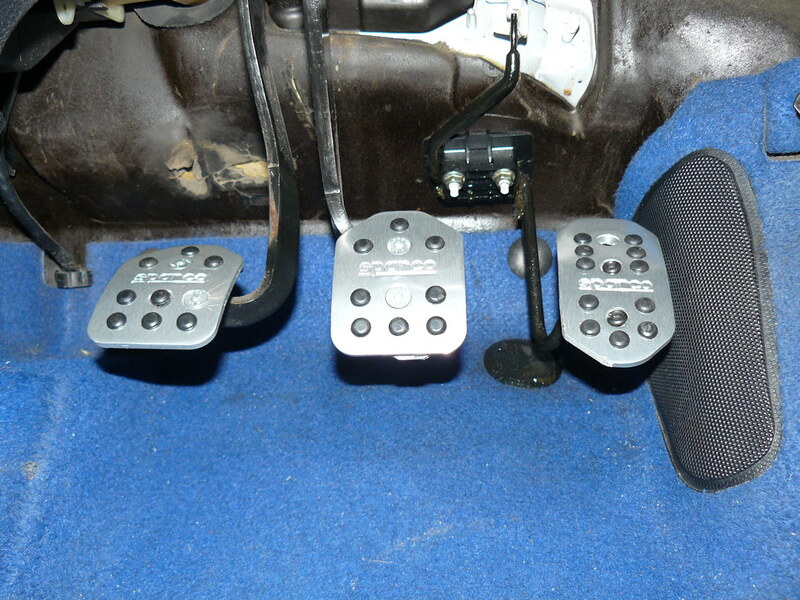 With the 4 pot calipers that are to go on it should give a nice firm pedal feel. 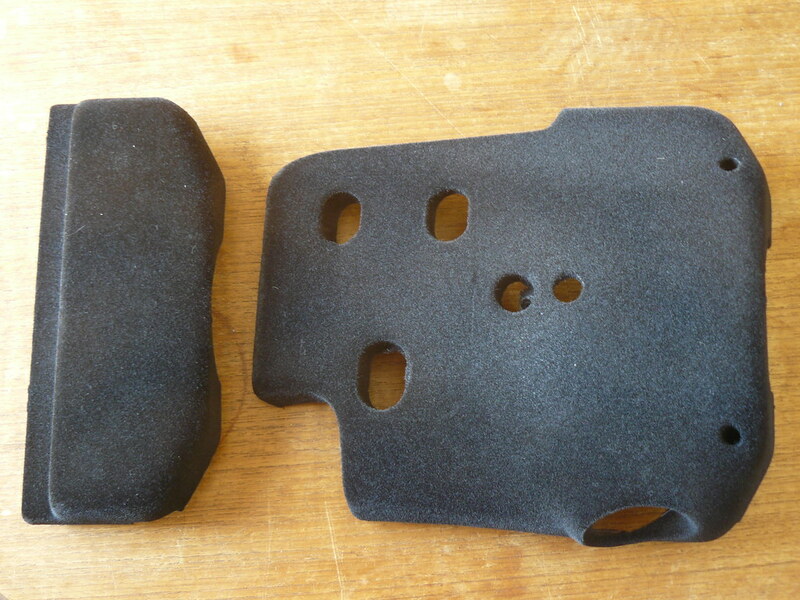 It came in a jiffy bag that was soaked with brake fluid and the brake lines had just been crudely snipped off. 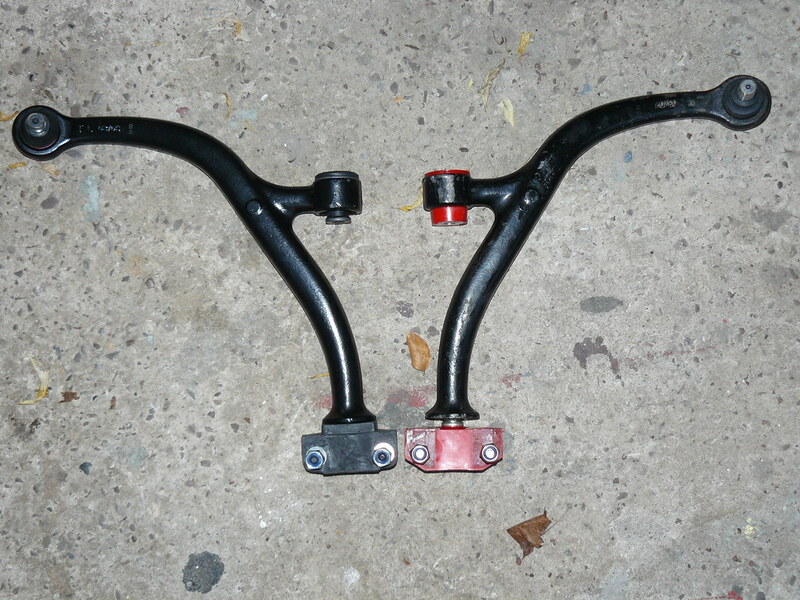 So tonight I took off the remains of the brake lines and gave it a clean up. I just need to get a blanking screw and this is ready to go. I’ve been contemplating stripping the piston cylinder and cleaning it up too before reassembling. 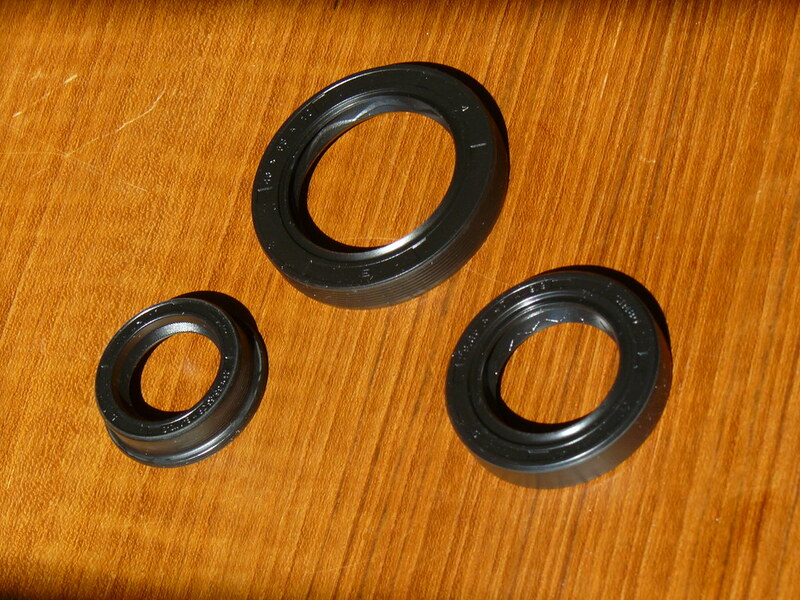 Some interesting bits turned up on Friday. I've picked up a set of OZ Ultraleggeras. 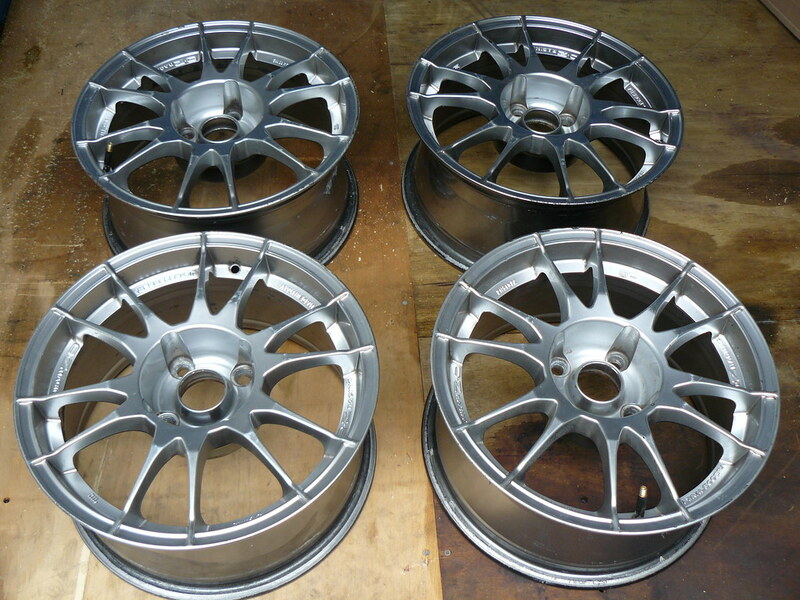 These will be replacing the Speedline Chronos that are on the car. They're off getting refurbished right now. 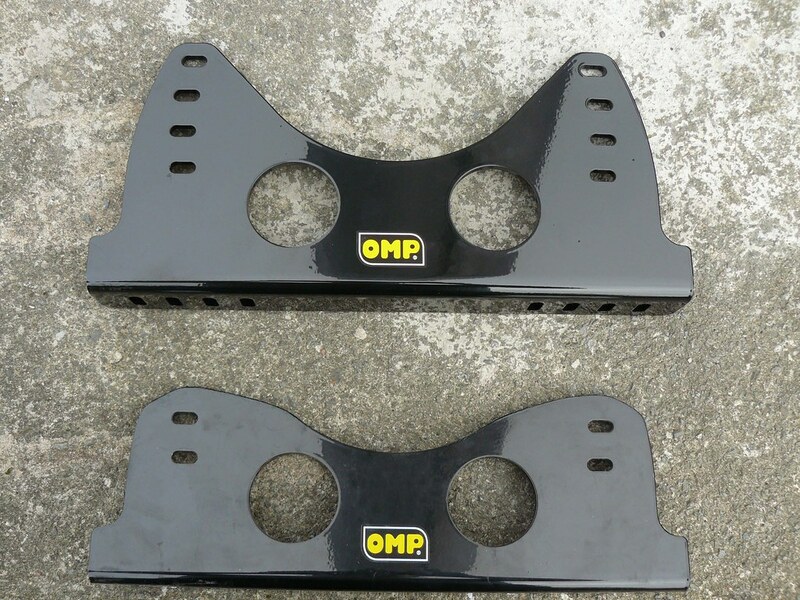 Also the baffled sump from Constella which I bought as part of the Rallye Register group buy is here and will be fitted to the engine in the near future. I took the father in law out in the car yesterday for a quick blast which he seemed to enjoy. I think that it'll now be coming off the road for a bit so that work can commence after the NW Peugeot meet on Monday. Last edited by Cris B; 18-07-2010 at 09:39 AM. 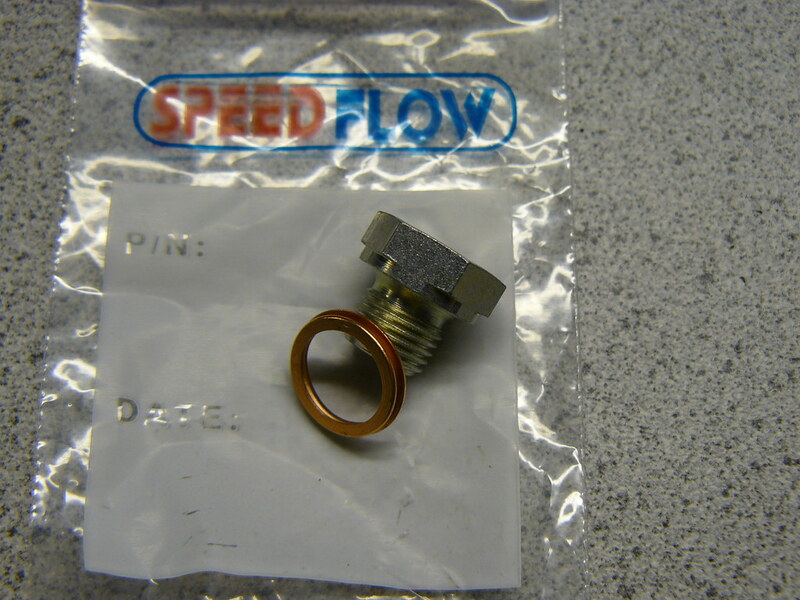 Brake master cylinder blanking plug with crush washer from Speedflow. M10 x 1mm stainless steel niceness. 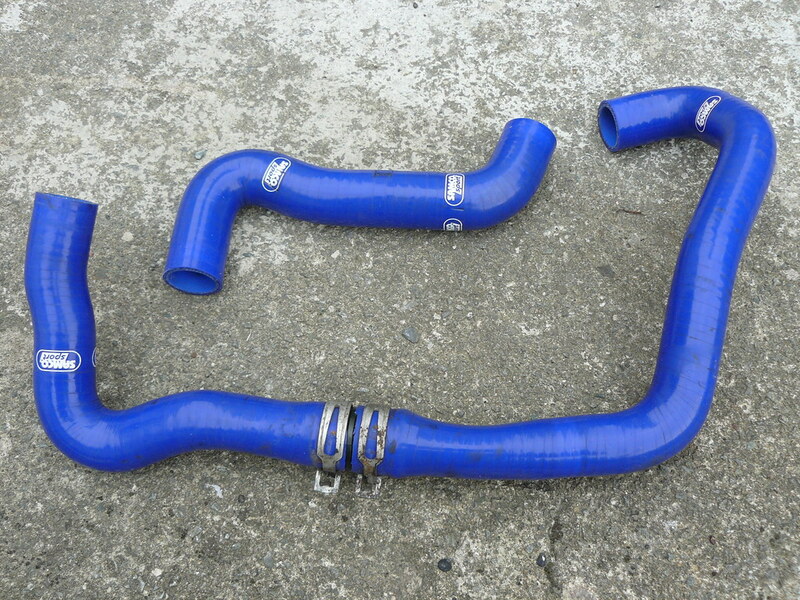 I need this to blank off the redundant rear hose port on the master cylinder. Fitted finger tight at random for this photo. 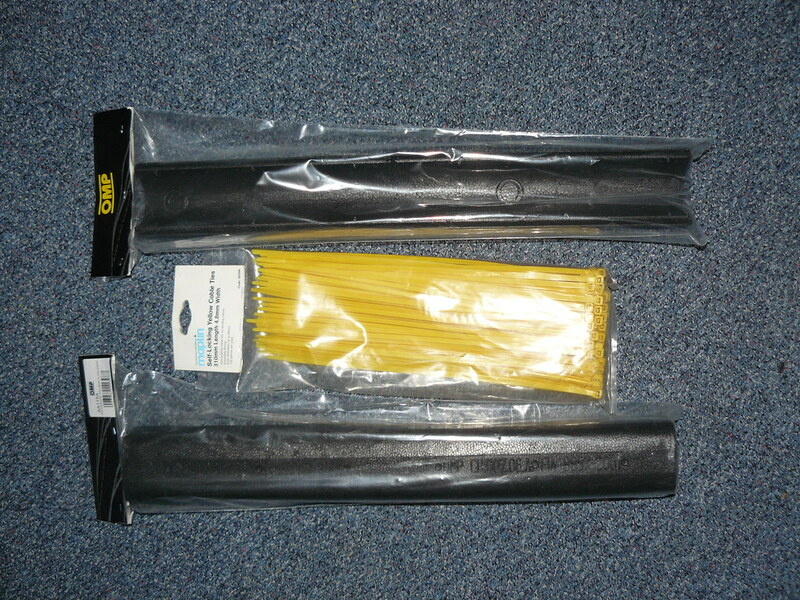 Finally I ordered some replacements for the Goodridge hoses as they were the wrong fitment for the Hi Specs. Now have everything needed to fit the brakes except DOT fluid. Quite a collection there now. Similar position as me, just need fitting! 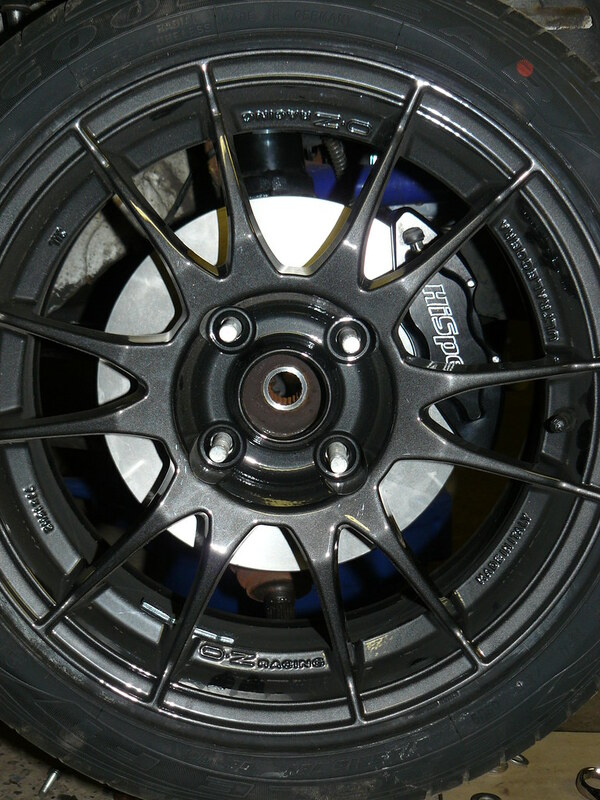 Seriously though, I need those brakes in my life! Thread lengths are spot on for the calipers. Tested them out tonight. I'd guestimate it's about 10mm of thread on them. 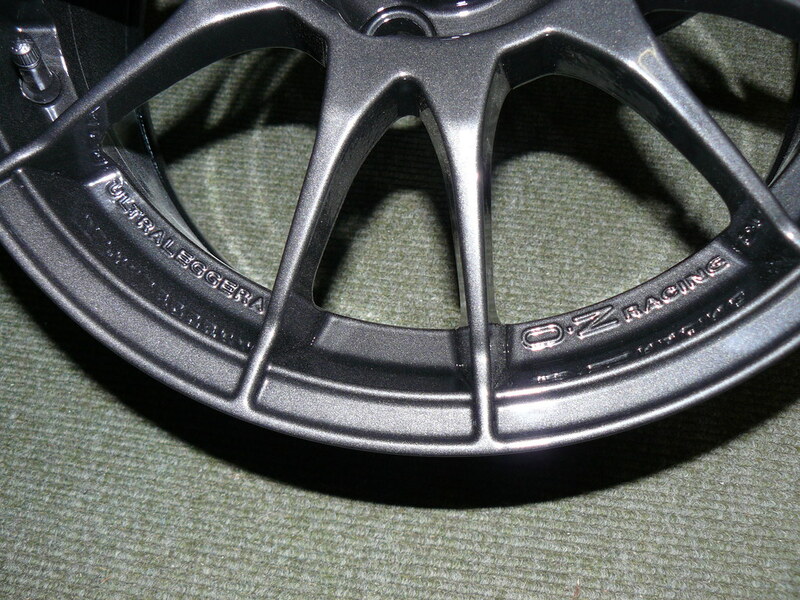 The metal flake in the powdercoat on the wheels means they change colour a lot depending on the angle of the light (see photos further up the thread). They look darker in this photo that in natural light. Oh and the car needs a clean and polish! 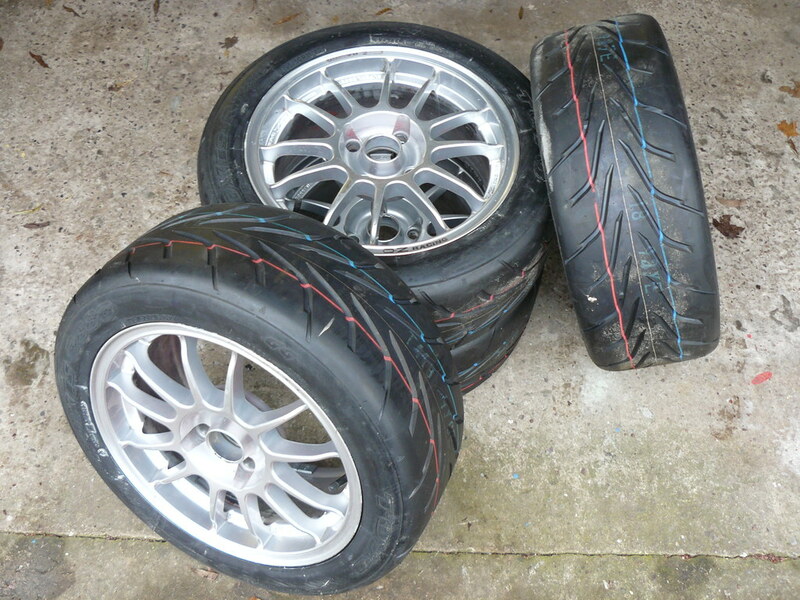 In all this set of wheels are a whopping 14kg lighter than the Speedline Chronos that came off. 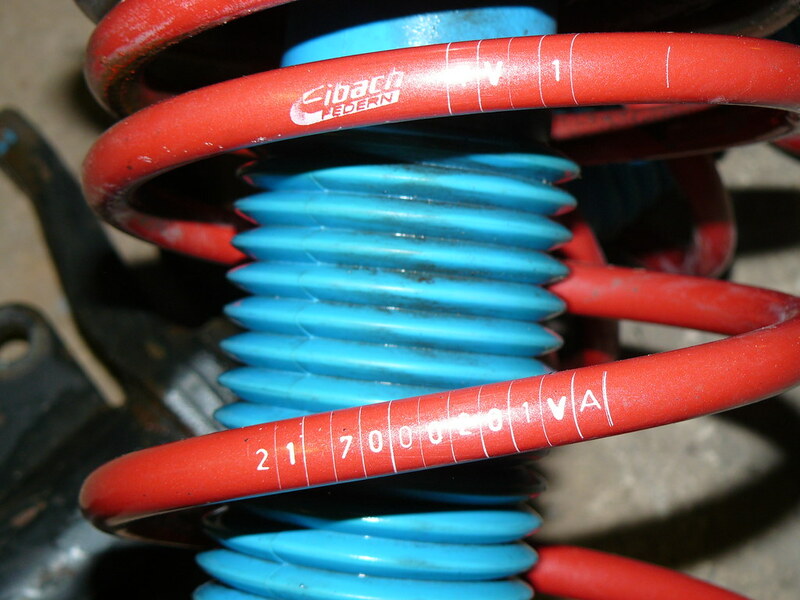 I know it is often talked about but it really is noticeable on the handling of the car, especially on the steering. Last edited by Cris B; 14-08-2010 at 05:01 PM. I like that a lot, but get those brakes fitted! Refit beam and new front struts. What's the turnaround on the axle? Turnaround at IMAxle was about 5 working days when I last spoke to them, I'm waiting until I get the new suspension at the end of September then I'll get them to fit the new bars at the same time. Started working out the loom today. 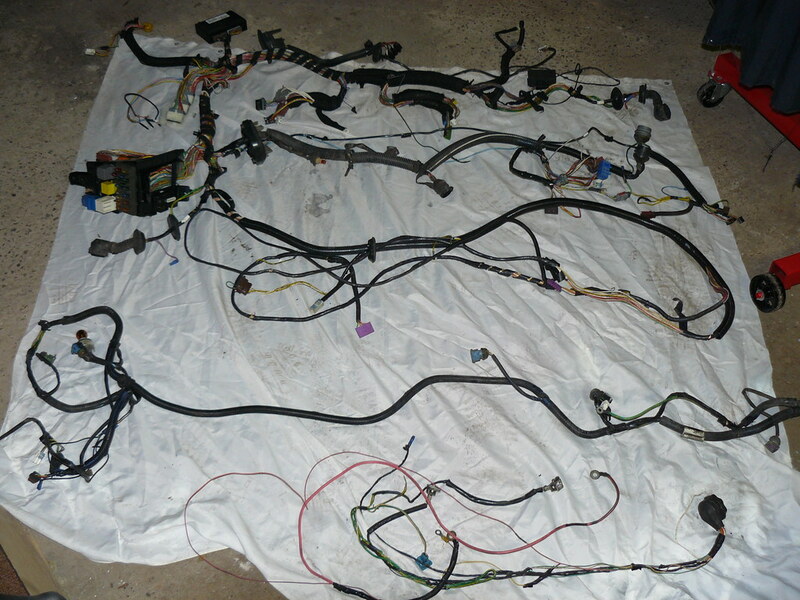 This is the full vehicle loom that came with the new engine. 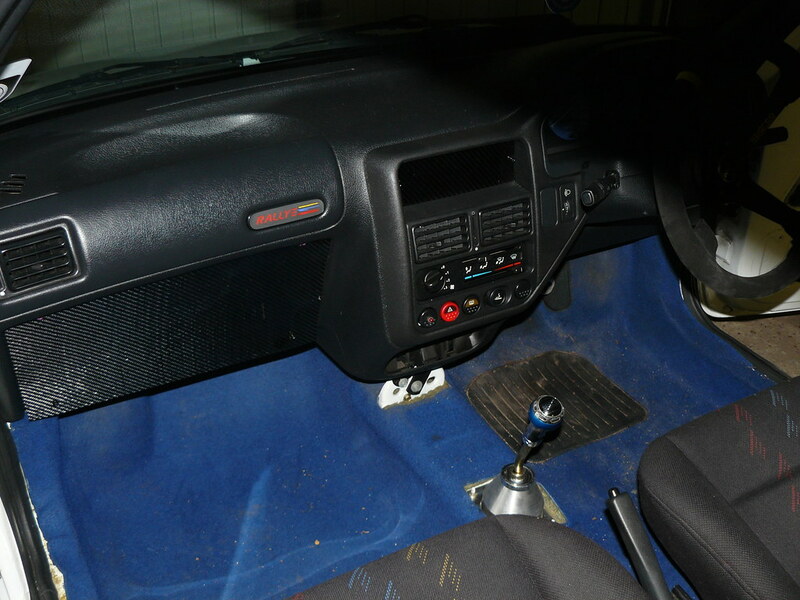 It's a full GTI engine and interior loom, including an alarm/immobiliser. Not shown is the OMEX engine loom that I have test fitted to the engine in the engine stand. There isn't much in this picture that will have any use to my setup, but it has confirmed the wire that controls the tacho/rev counter. I've already partially stripped lightened my interior loom, but once I strip the interior out I'll remove a few more wires and gubbins that are now redundant. I've decided that I want to relocate the battery and engine fuseboxes to the interior before I do the other works so that way I can isolate any changes issues resulting from this on the electrics from the engine swap. Need to get a few bits and check a few things out. Have you had that loom above on the scales? Not yet, but I was thinking that I should weigh it whilst working on it today! Just weighed it now, 8.5kg for everything you can see in the photo. Progress at last. Car went up on my home made ramps yesterday as I need to strip all the suspension of it. 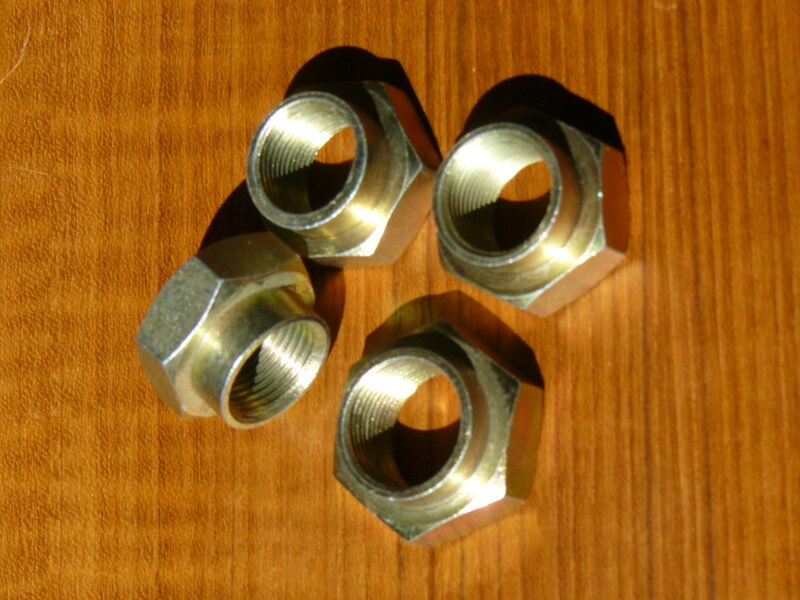 I knew how the night was going to go when I couldn't get the gear box drain plug out and sure enough about half an hour later I called defeat for the night: I had a go at removing the hub nuts and it became clear they were not going to come off with my current arsenal of tools. Not to be defeated, I opted for beer and an hour on here looking at advice in the forum and then online window shopping. 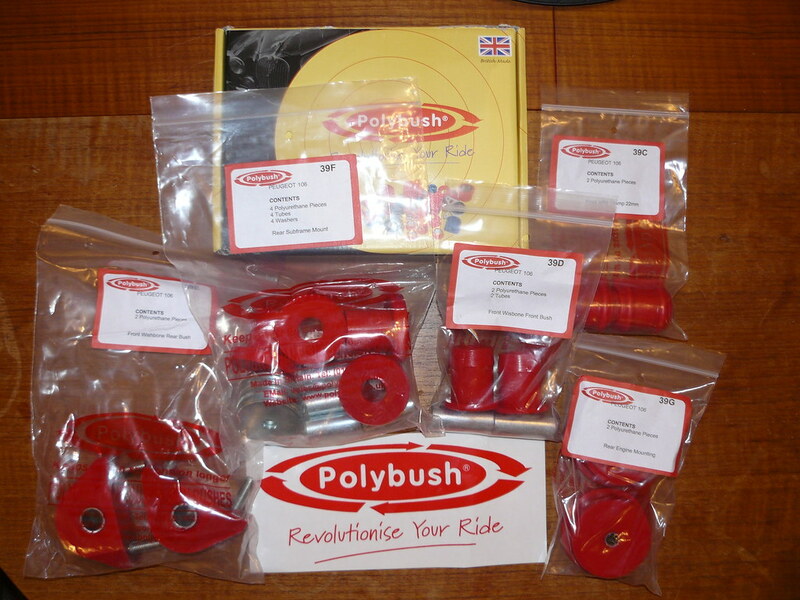 After a lot of research last night on the web, I phoned up my local Engineering Suppliers today and they sorted me out with just the kit for removing hub nuts. 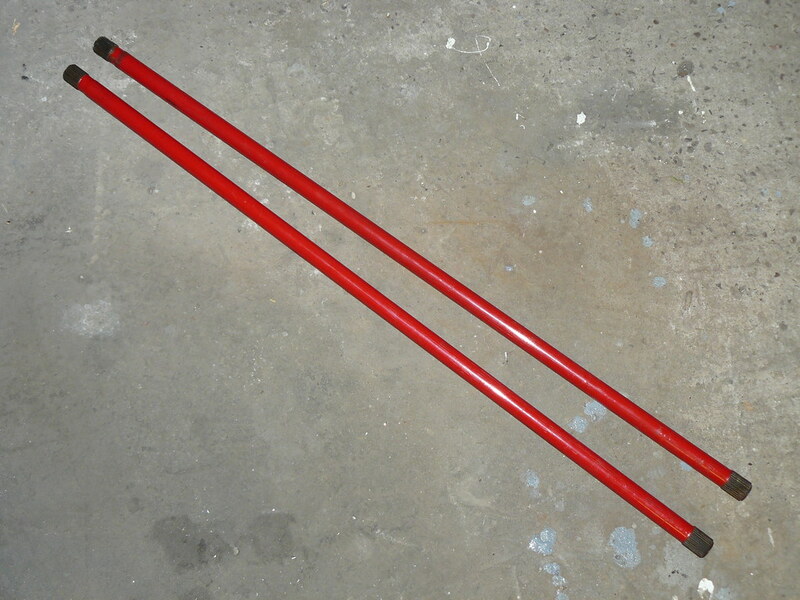 24" 1/2" drive breaker bar and a 60" piece of square section steel with 4mm walls all for £20. 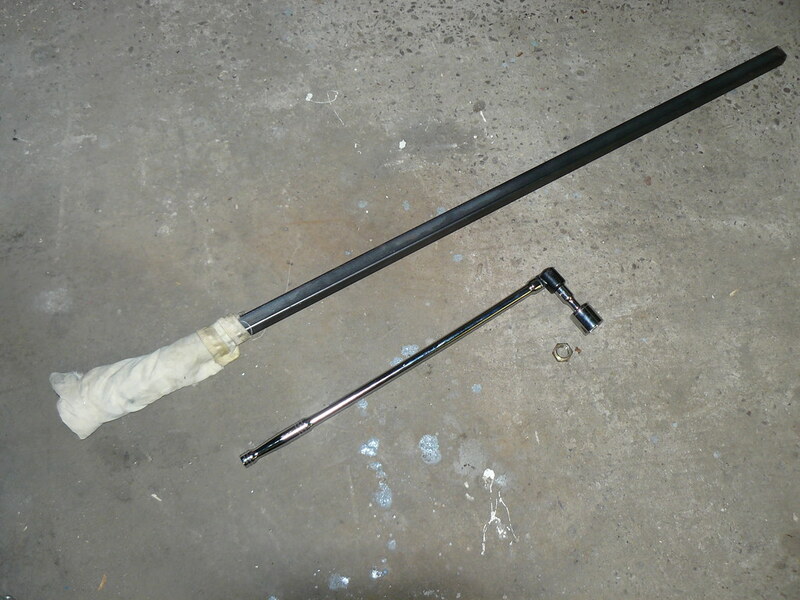 Halfords wanted £30 just for the breaker bar (I already had a 30mm hex socket). 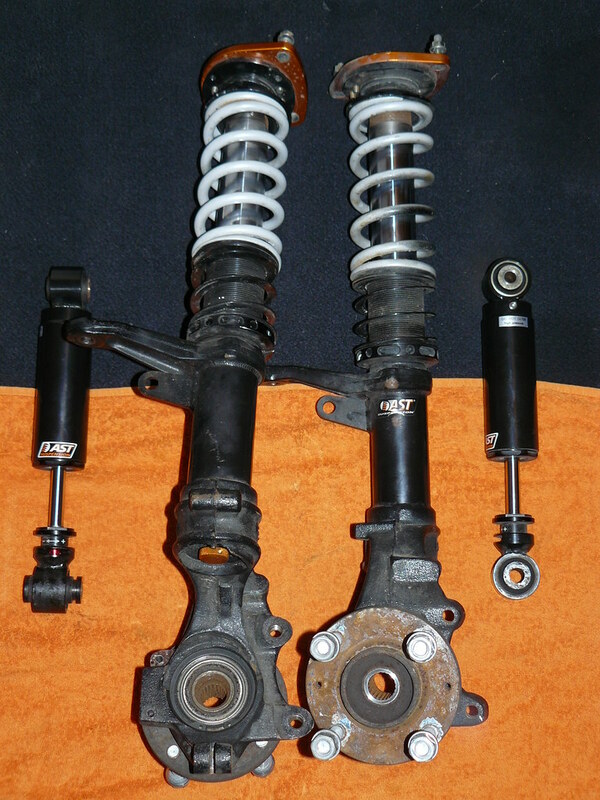 The Bilstein B8 shocks and Eibach spring based suspension is now all off the car and provisionally sold. ahhhh i do love trawling through progress blogs and finding useful info!!!! i`ve been looking at these bottles on ebay and wondered if they`d be slim enough to fit in the 3/4 recess!!! 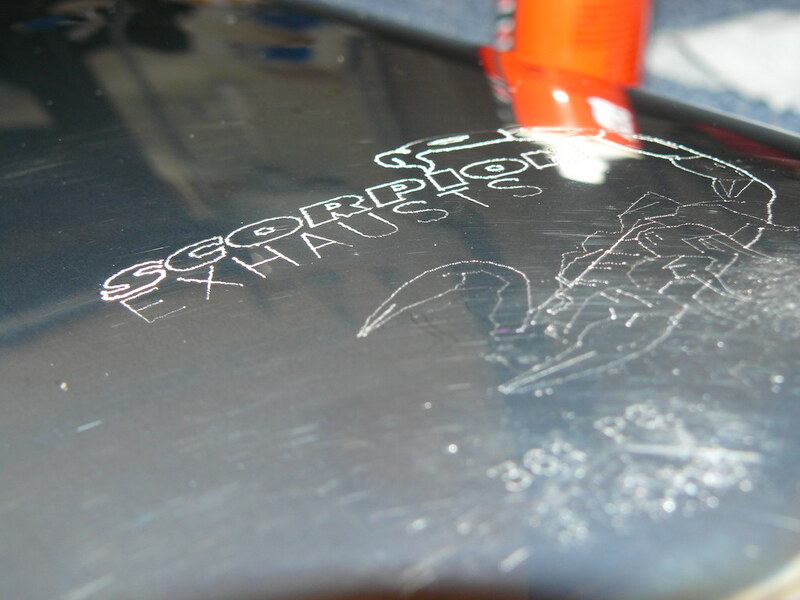 out of interest... do you post on the mig-welding.co.uk forum i use??? Yes he does! I have seen his sneaky posts too! 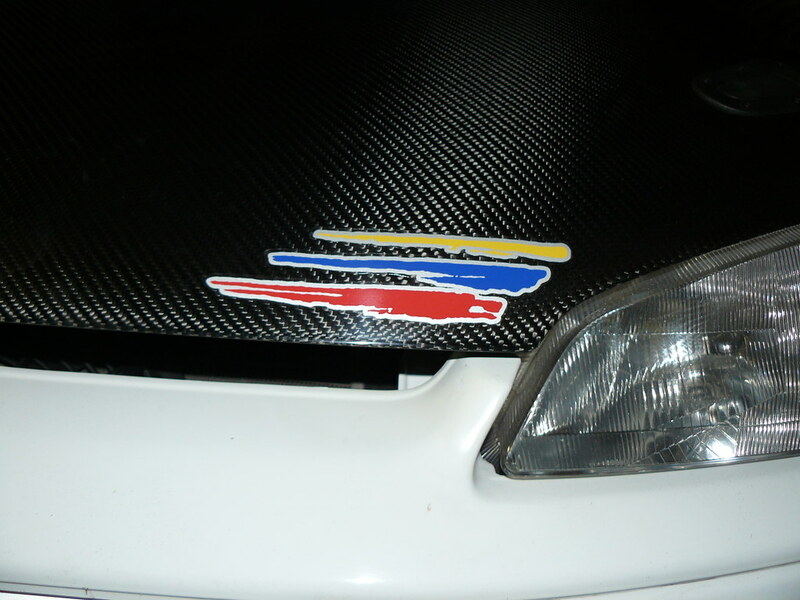 Finally I picked up that little extra I've been after for a very long time... an ultralight Streamline Carbon bonnet. 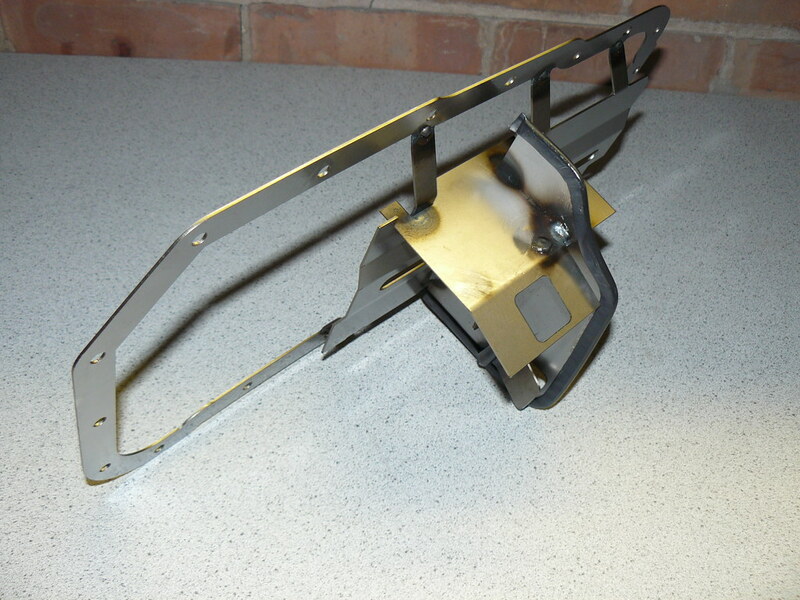 A standard bonnet 13.4kg this one is only 4kg! It uses a honeycomb core for a stiff structure that won't flap. 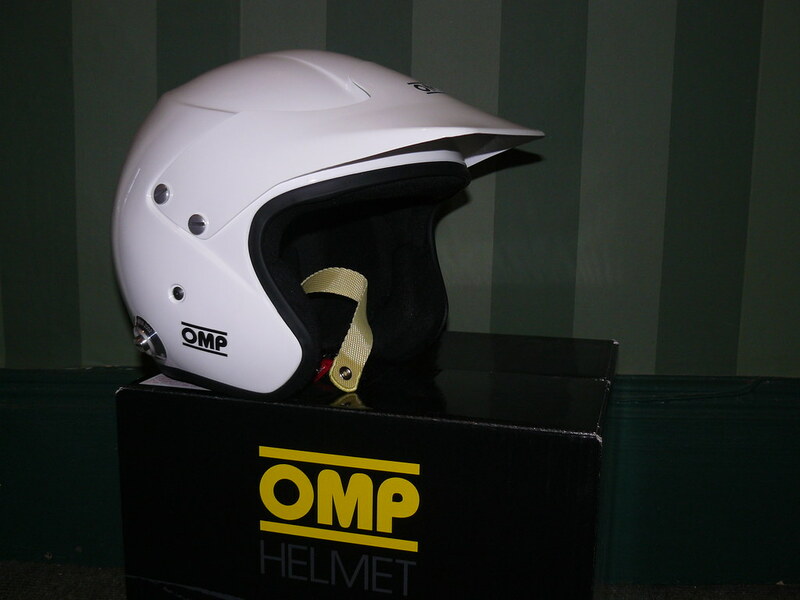 did you get the bonnet brand new?? i was speaking to Bic the other day and he mentioned things were busy..
ahhh i see... well either way having seen the stuff bic, actually no.. Mervyn! produces the quality is bang on hhaha..
Nice suspension dude! 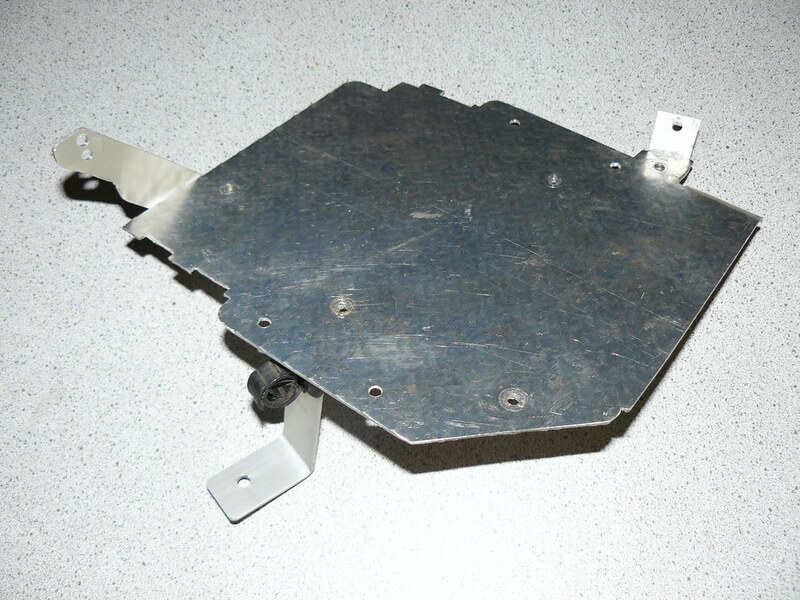 Are you going to fit strut reinforcement plates too? Not a fan of the bonnet if i'm honest, but each to their own, that's an impressive weight saving! Yeah, the bonnet is a personal thing. 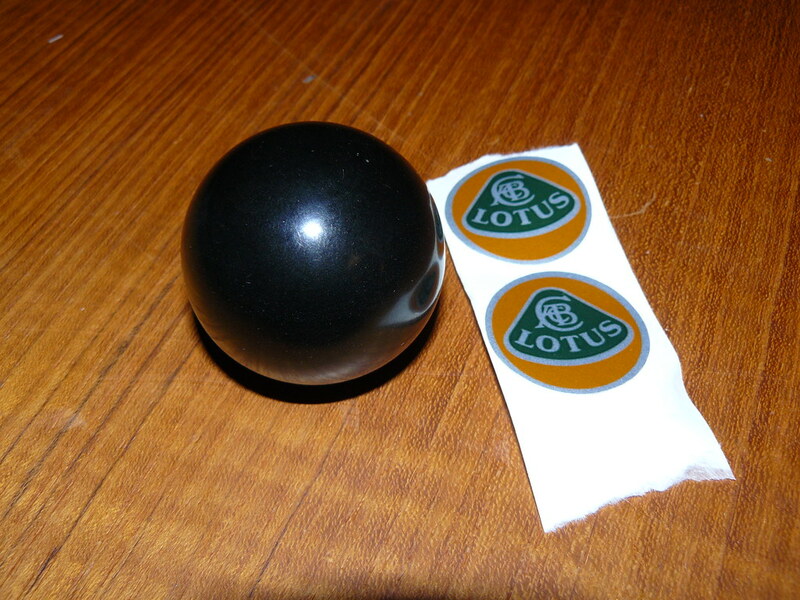 May end up getting it sprayed to match the car at some point in future. Some kind of semi seethrough effect might look good on the bonnet? 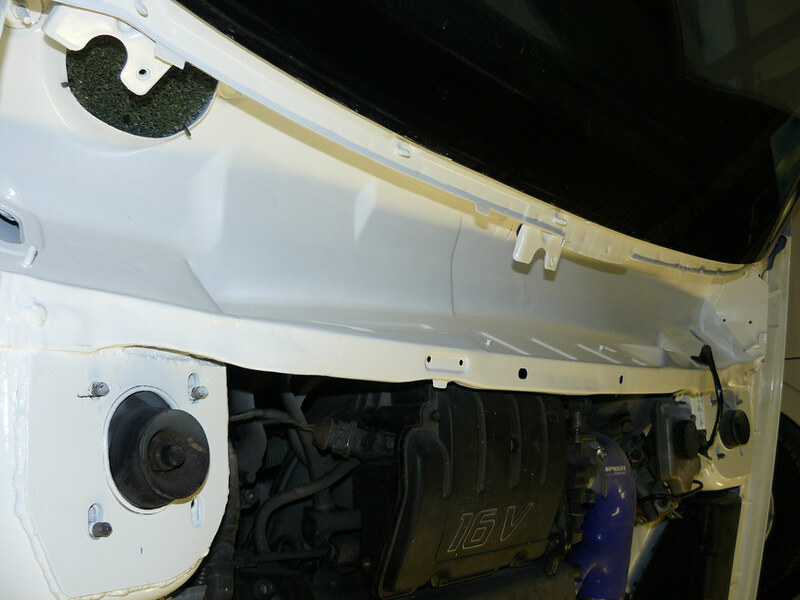 I like DannyGti's idea of painting around the outside and leaving a small section unpainted in the middle. Tonight I did a test fit of the HiSpec Ultralights on the new struts as I wanted to make sure I had the necessary spacer shims from Marc for them. They fit fine, so I'm happy with that. 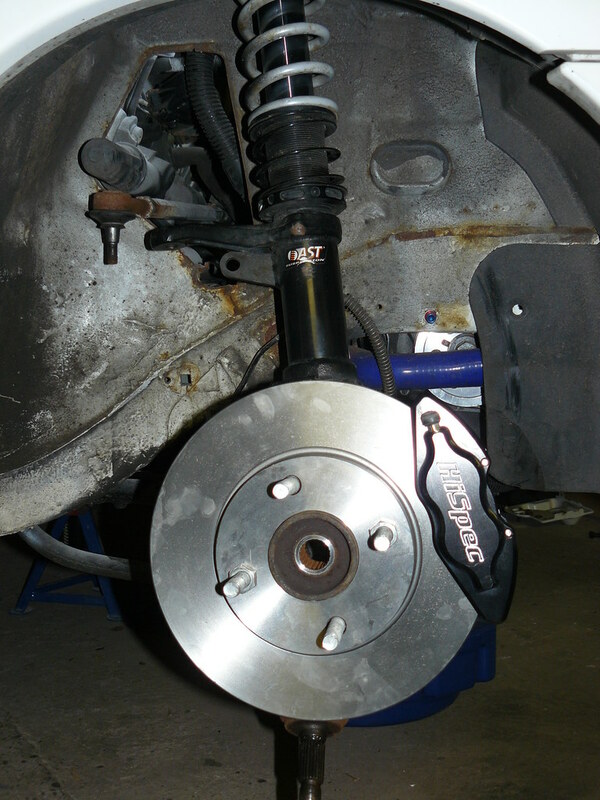 Did a little bit of other faffing including taking the cheap wheel studs off the hubs (I'll be putting my Motorsport Spec ones back on) and then spent some time just tidying up as the garage was a complete state. It'll be a case of stripping back all the arches and doing a bare metal repaint starting with POR15 and hoping there's no rot... what are the chances? 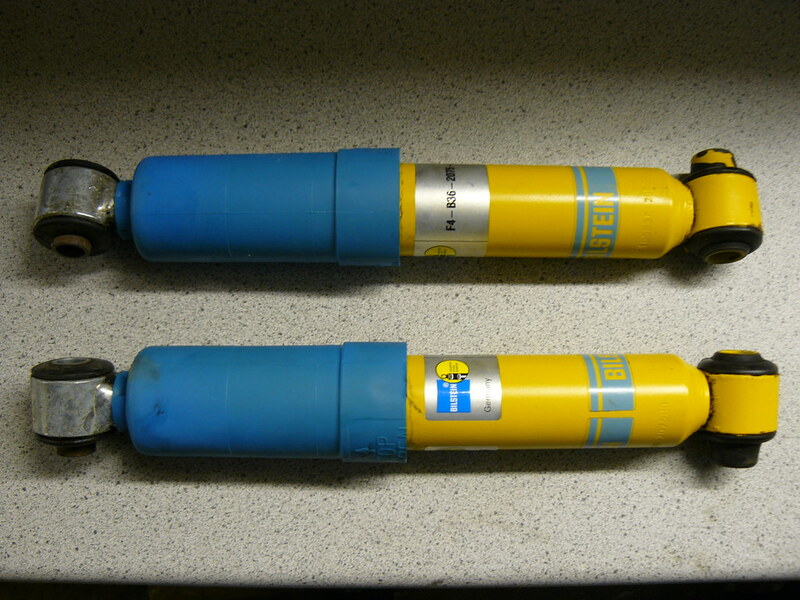 Finally the weights of the Bilstein/Eibach setup struts that came off (fully assembled with hub, shock, spring and top mount) was 17.22kg each. The ASTs come in at 10.76kg each. That's a 12.92kg weight saving in largely unsprung mass. Didn't get into the garage last night so no progress to report. 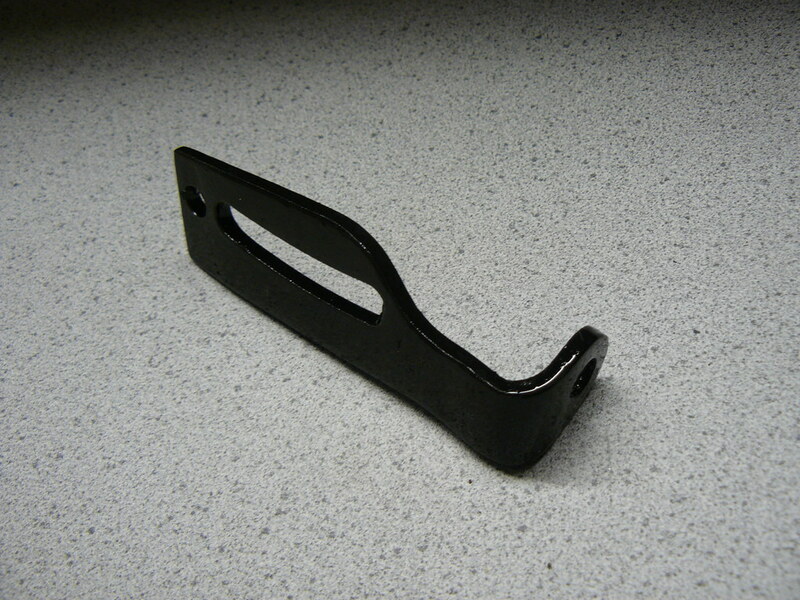 I did have some success yesterday in finding a supplier for some high quality adjustable droplinks. So I'll start a group buy and see if there is enough interest to get some made up. Strange that your drop links have died so quickly, mine have been on for 10k or so including a fair bit of track work and they're fine. Oh and I don't think your arches will be too bad, mine cleaned up really well with very little effort. Main spot for rust was under the chassis legs as they go towards the bumper as that must be where the water collects.